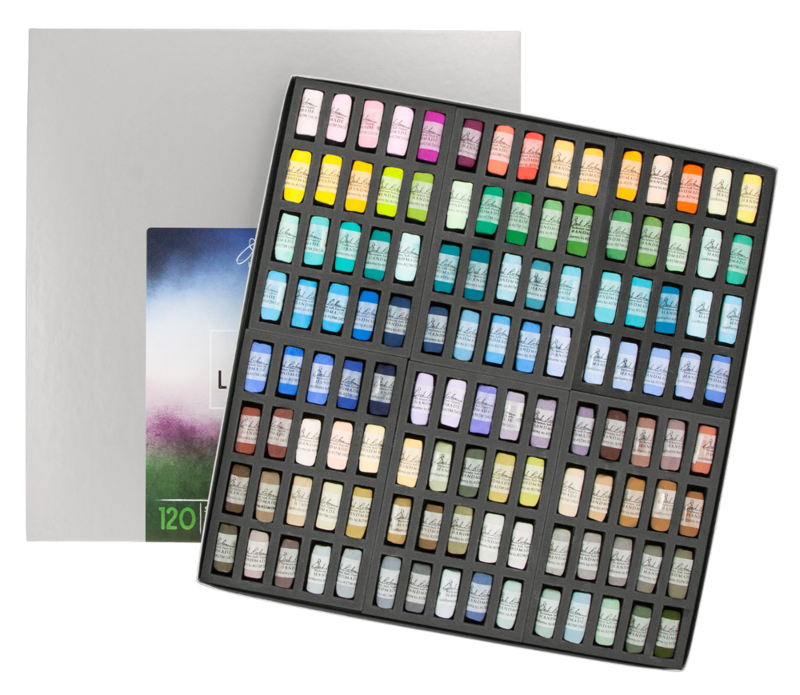 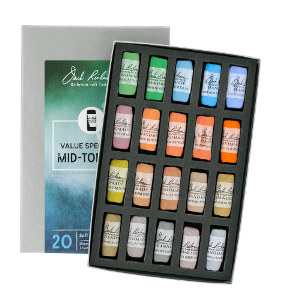 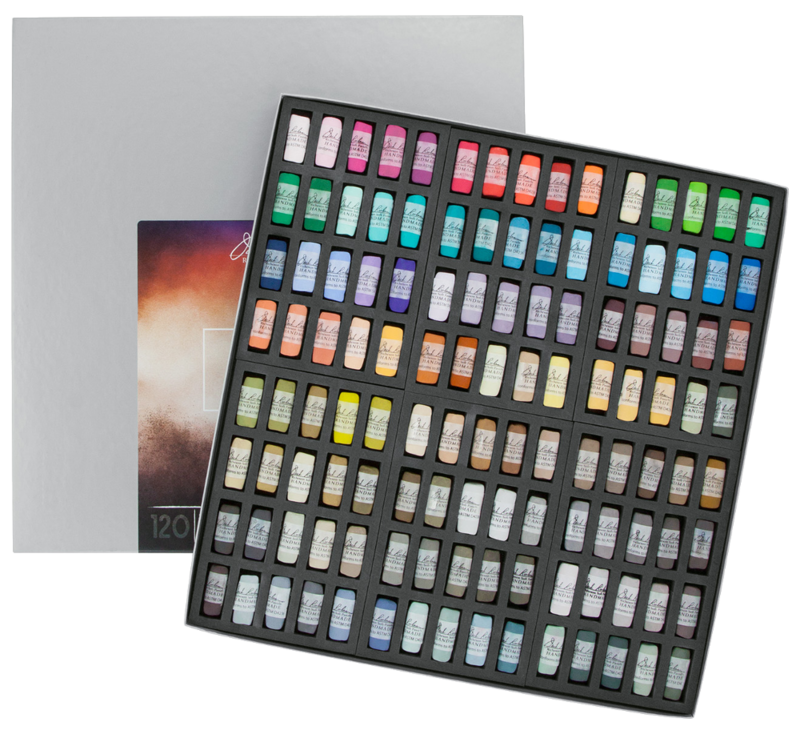 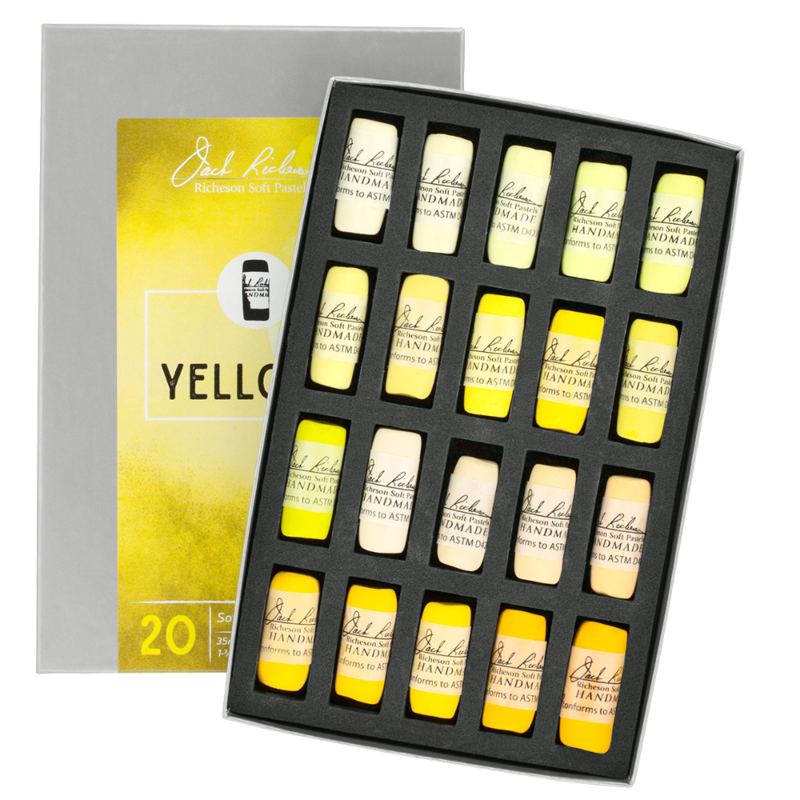 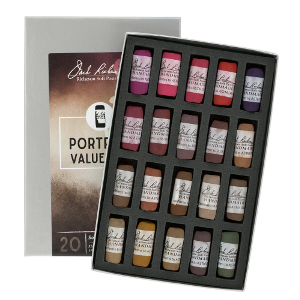 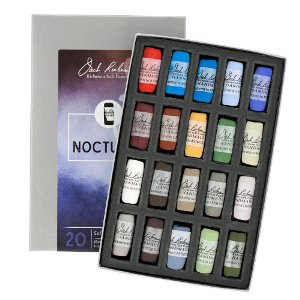 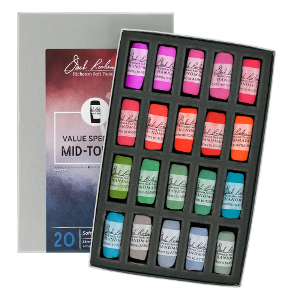 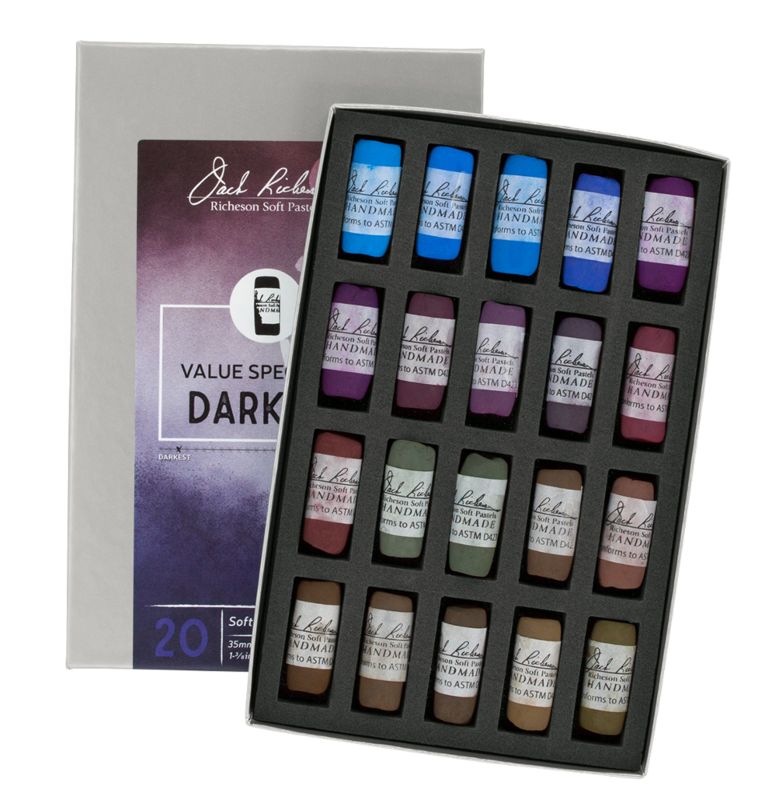 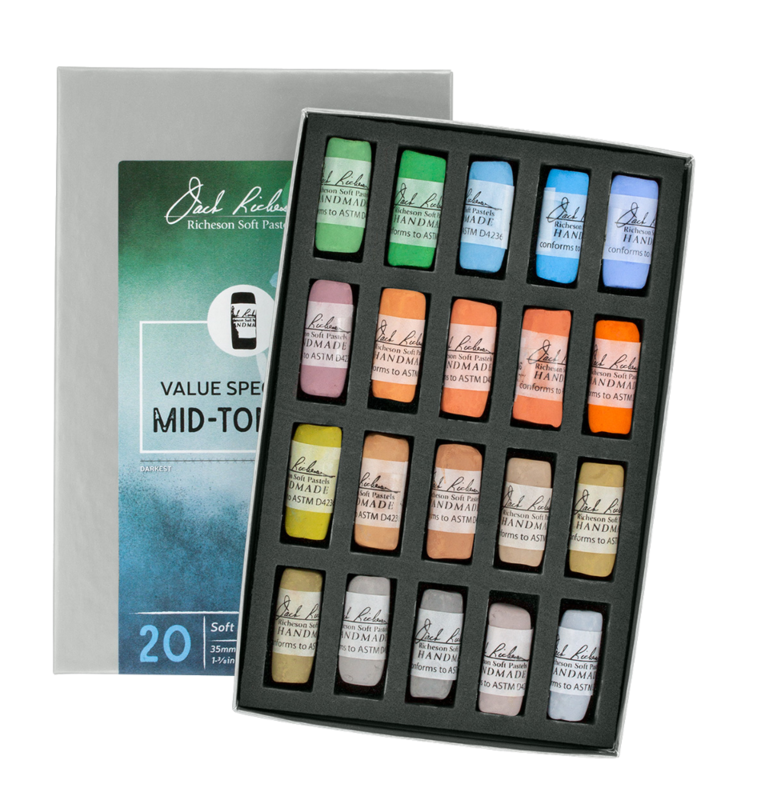 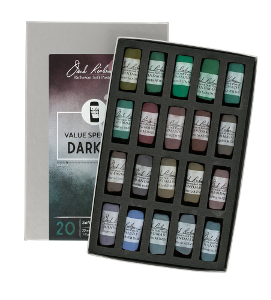 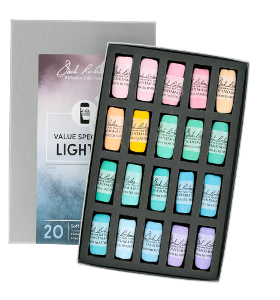 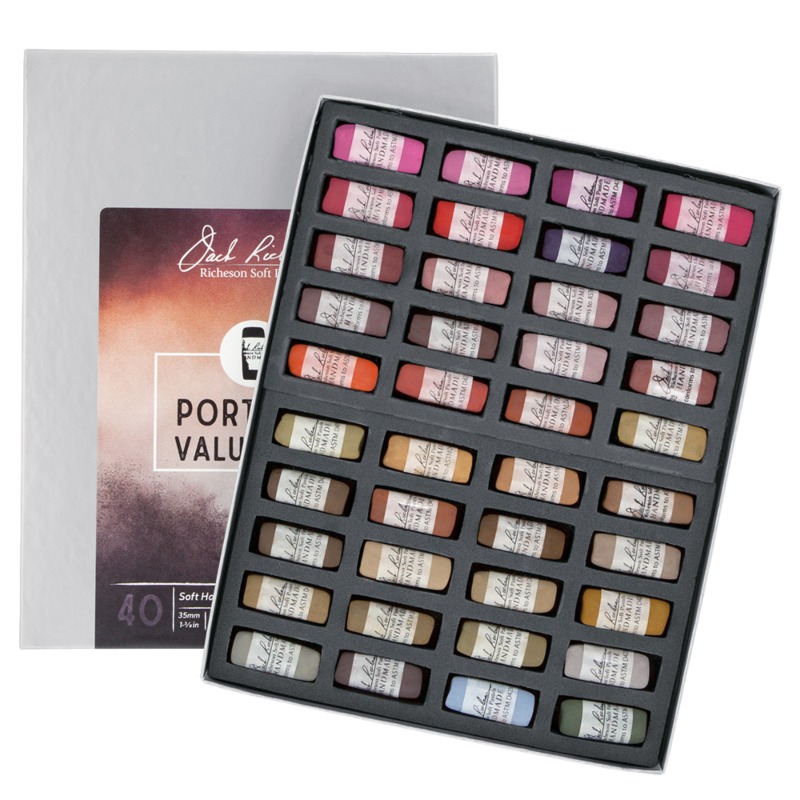 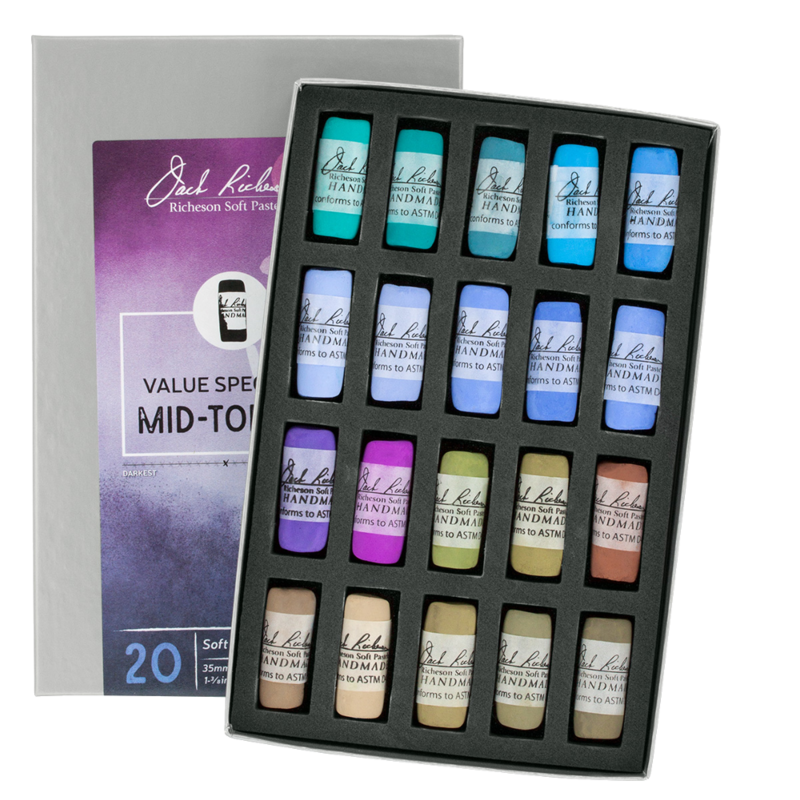 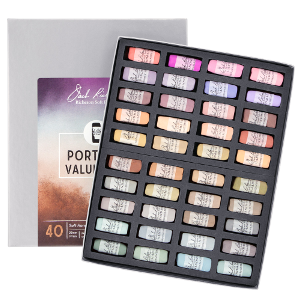 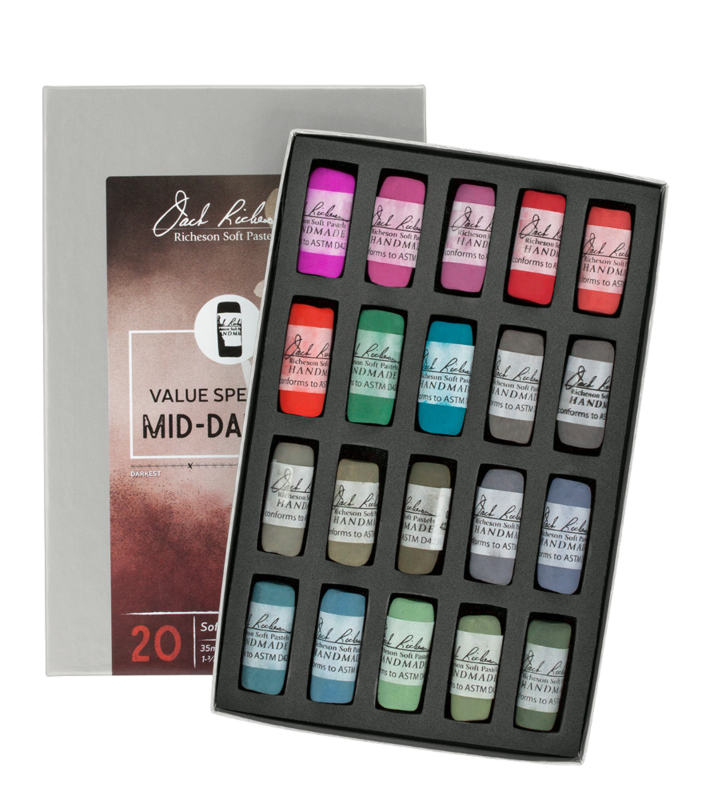 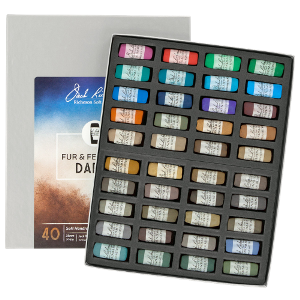 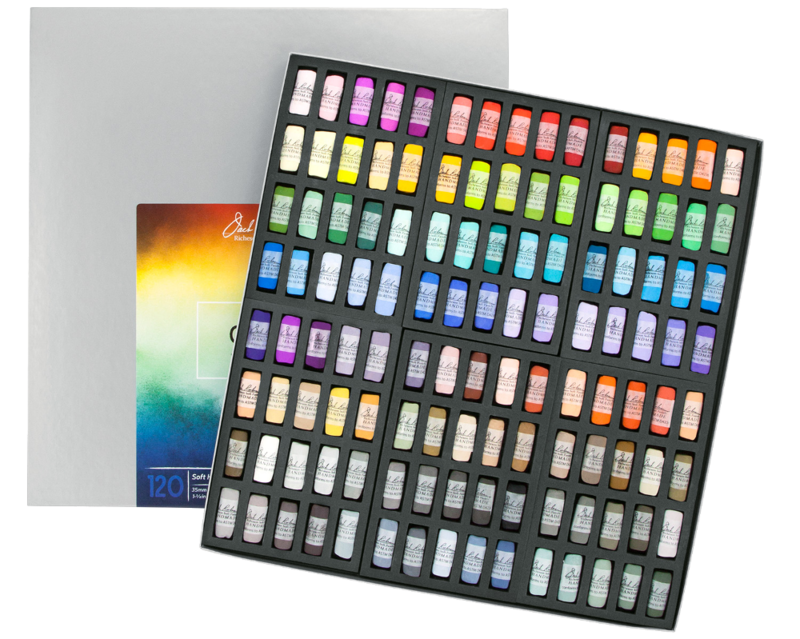 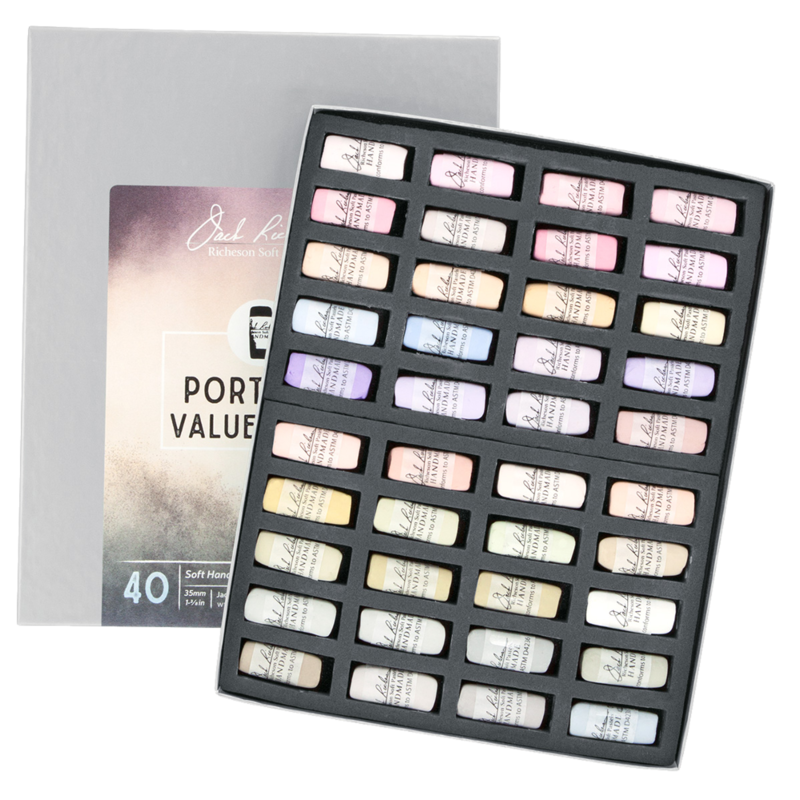 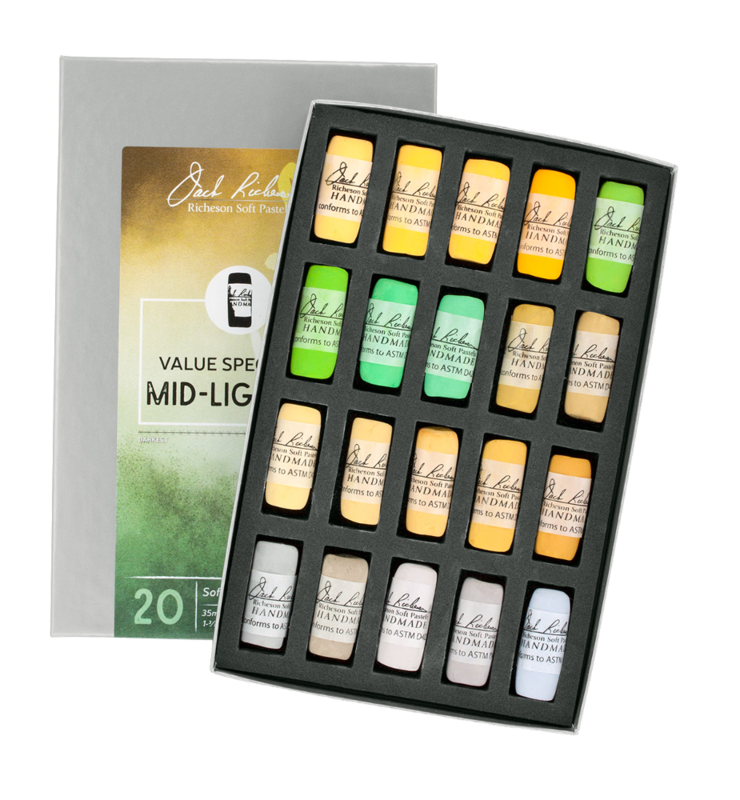 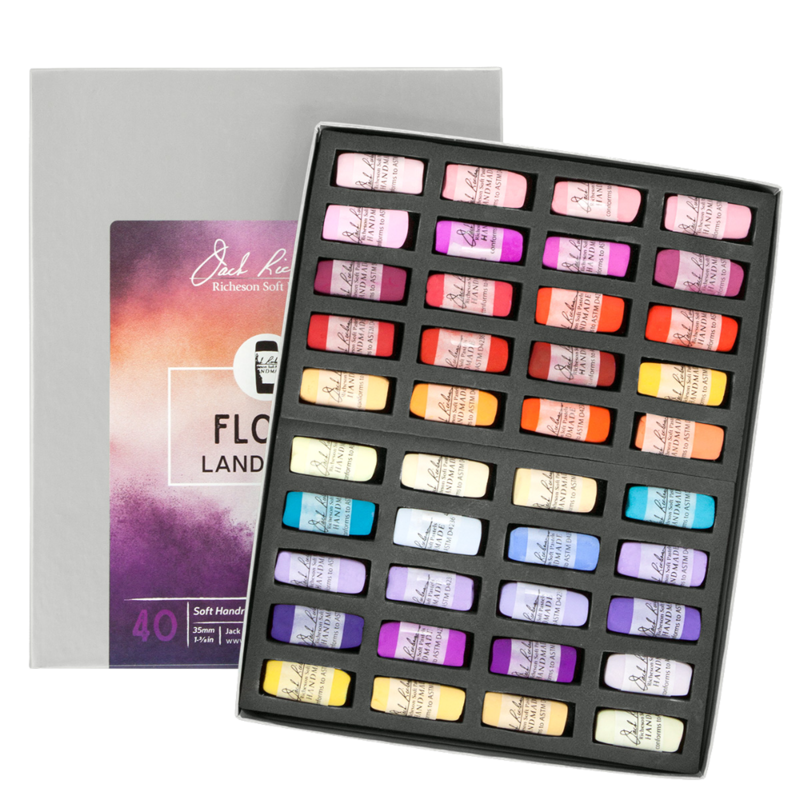 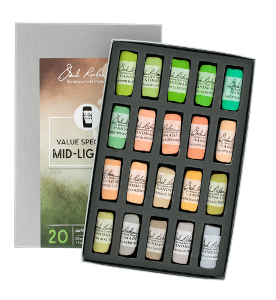 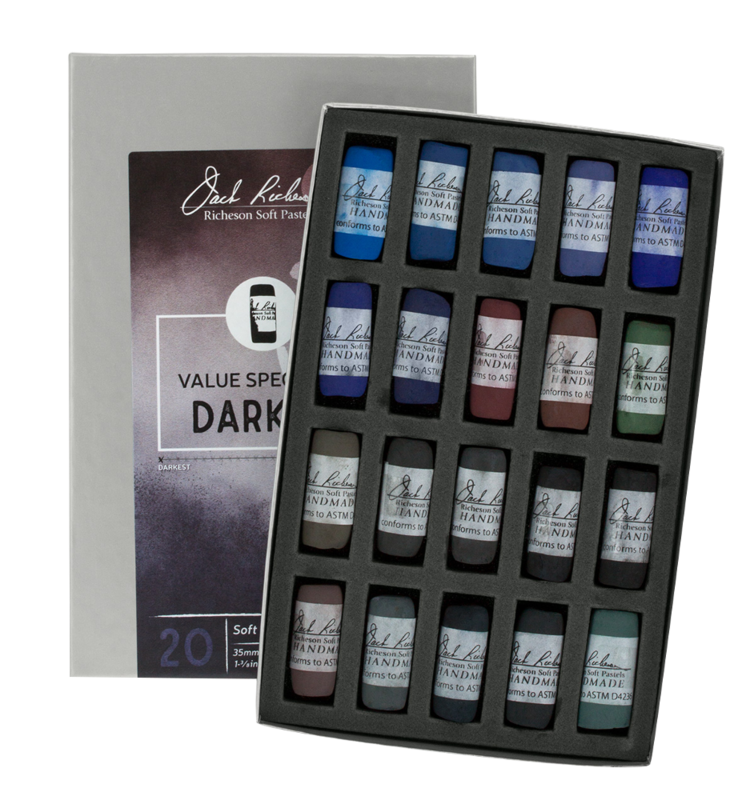 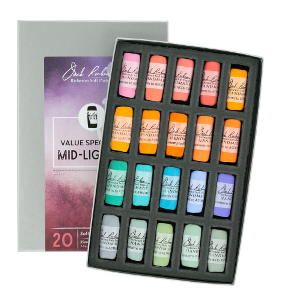 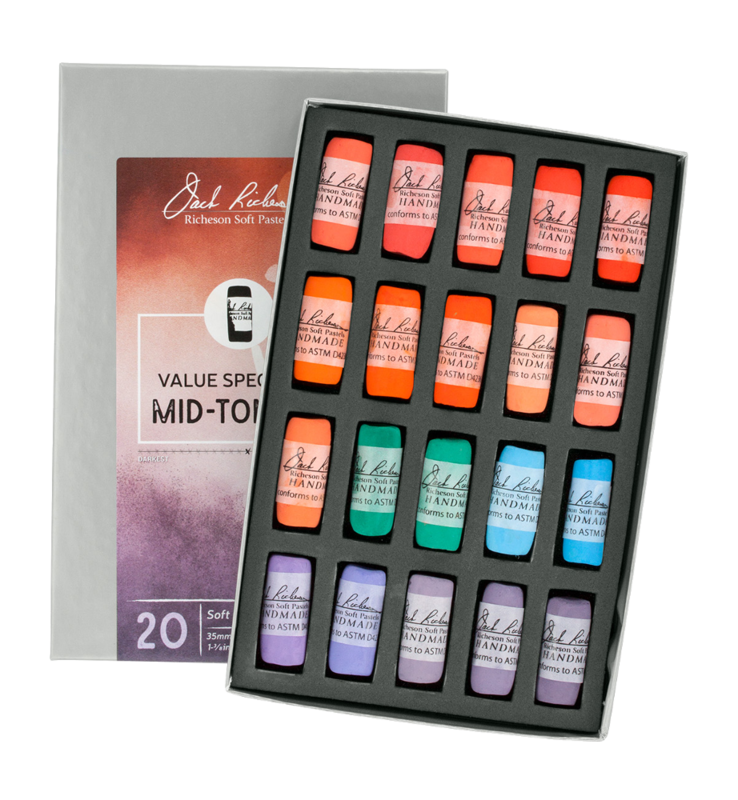 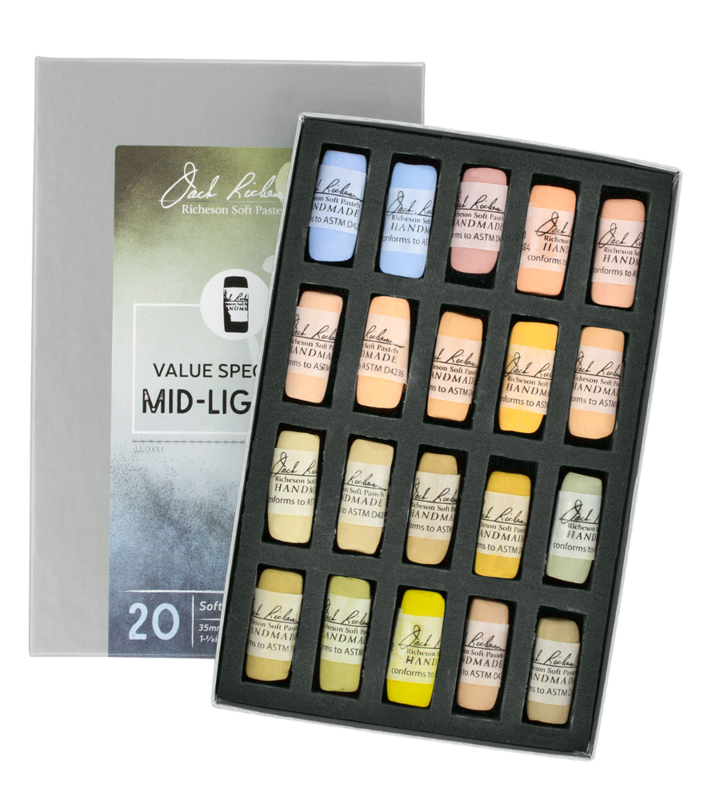 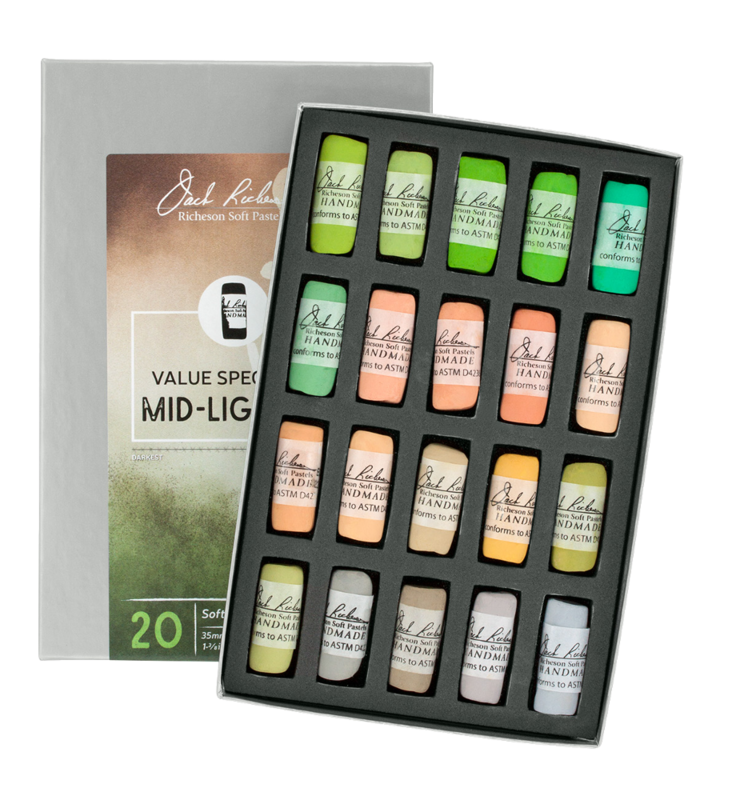 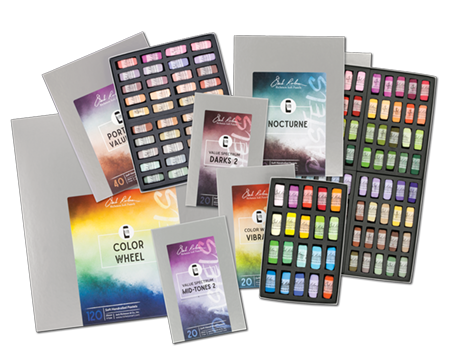 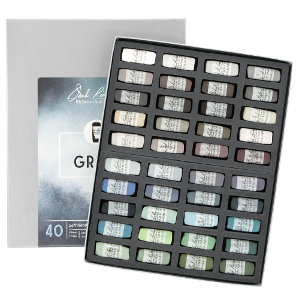 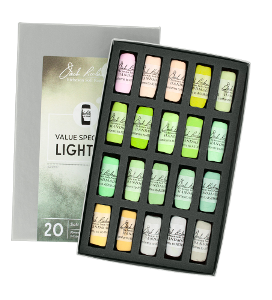 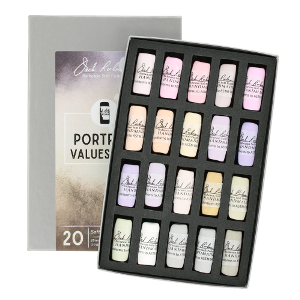 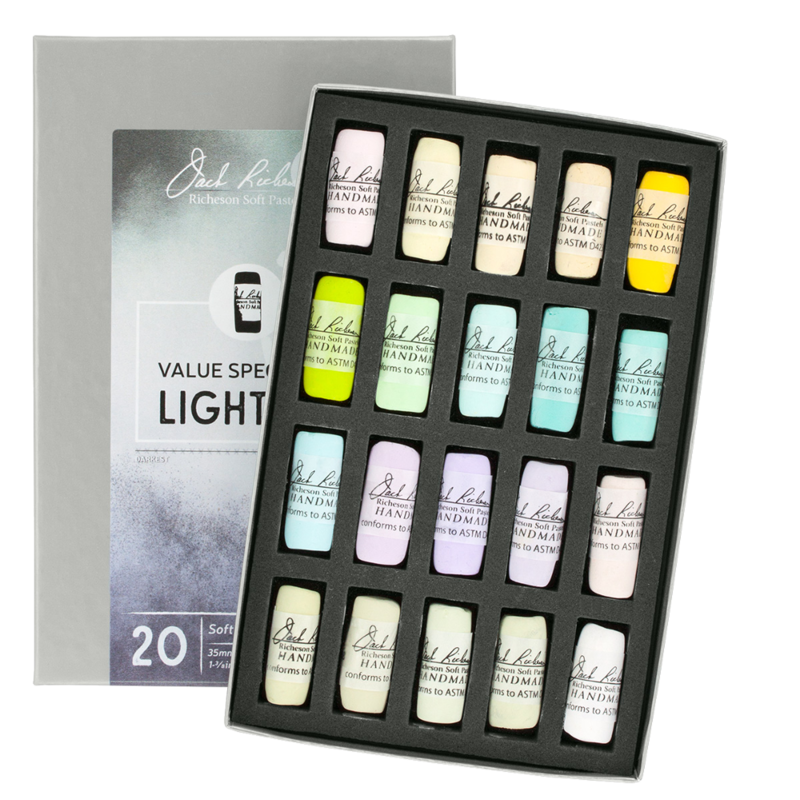 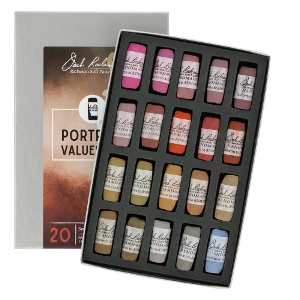 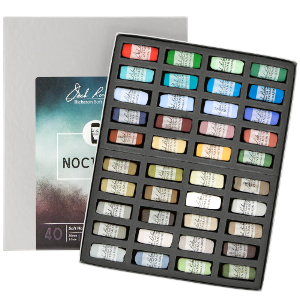 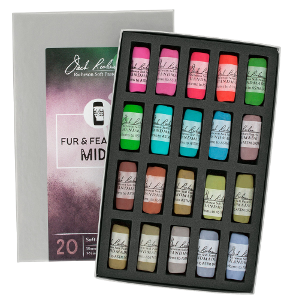 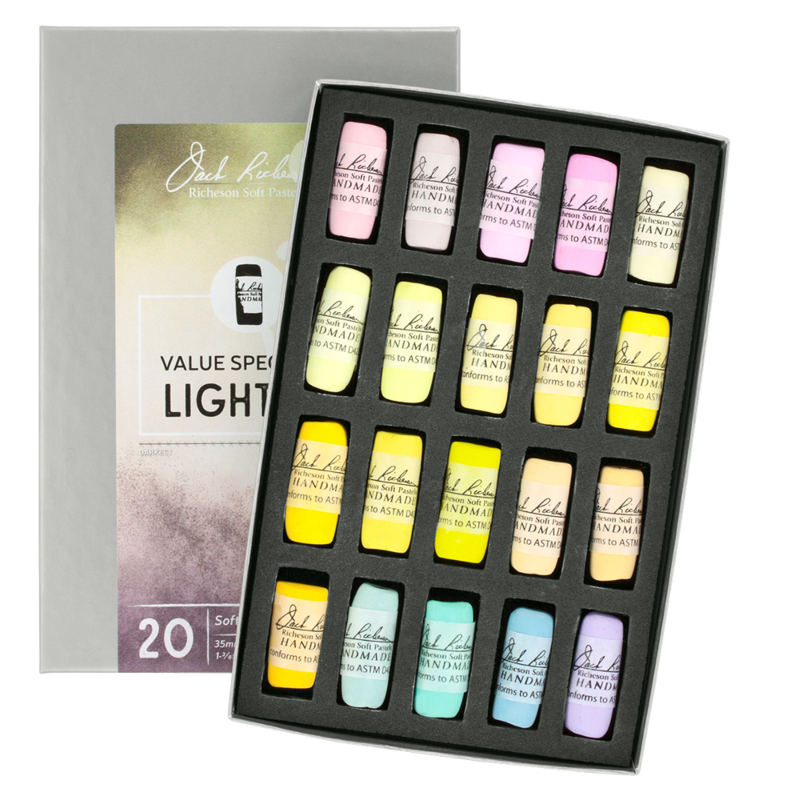 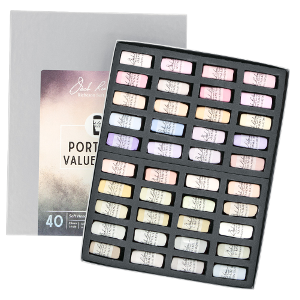 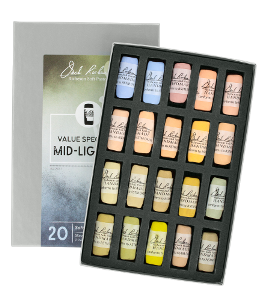 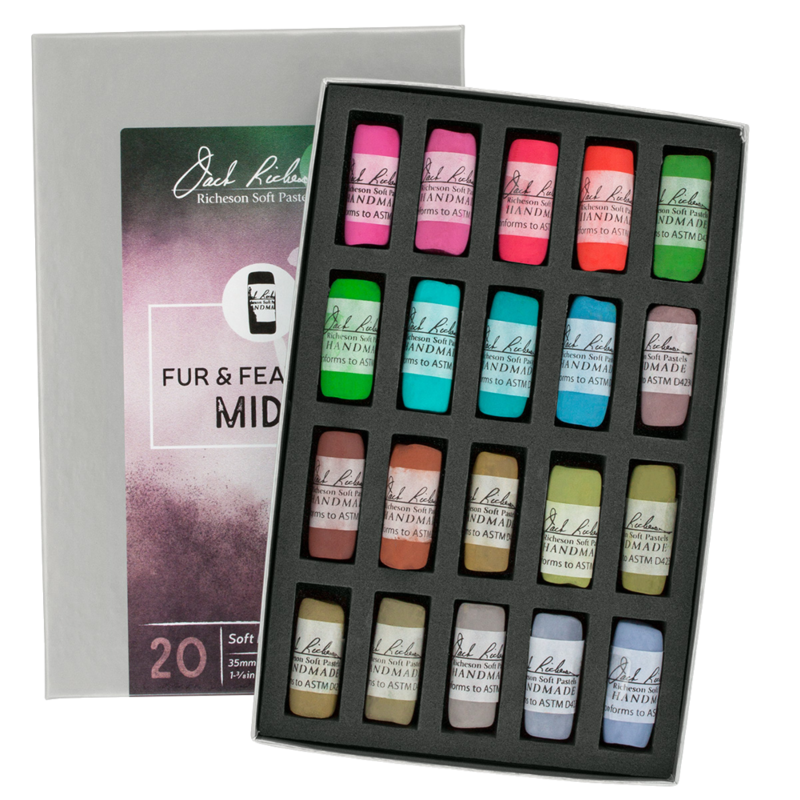 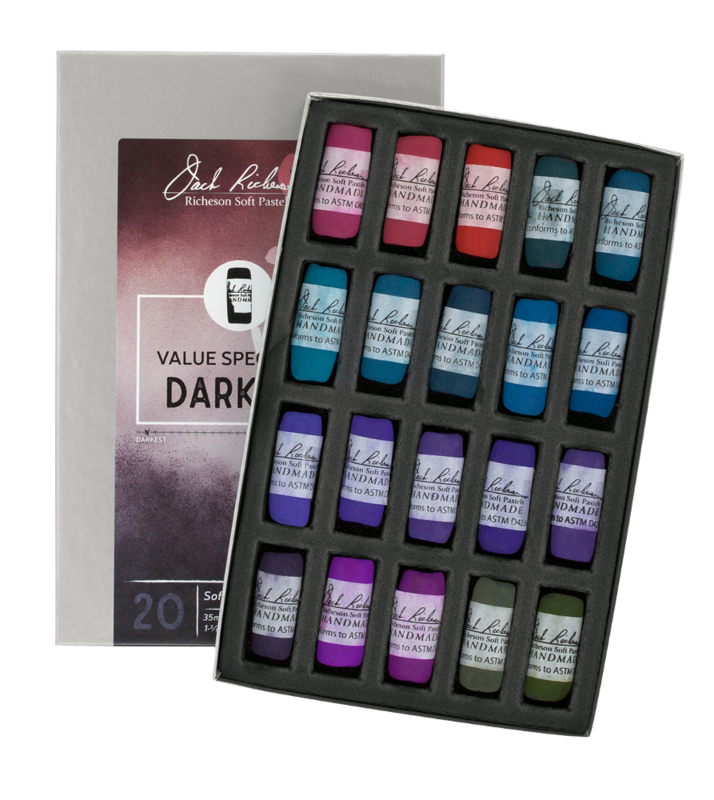 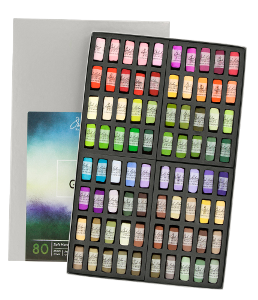 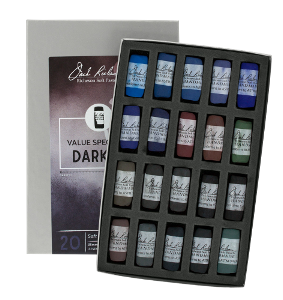 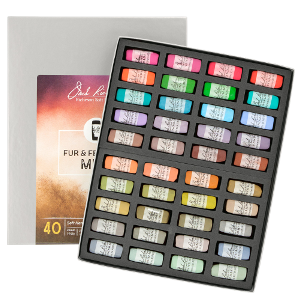 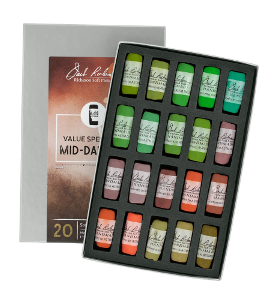 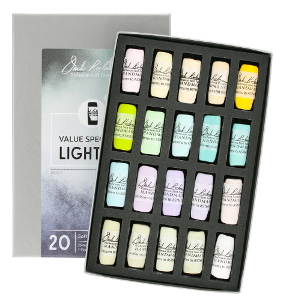 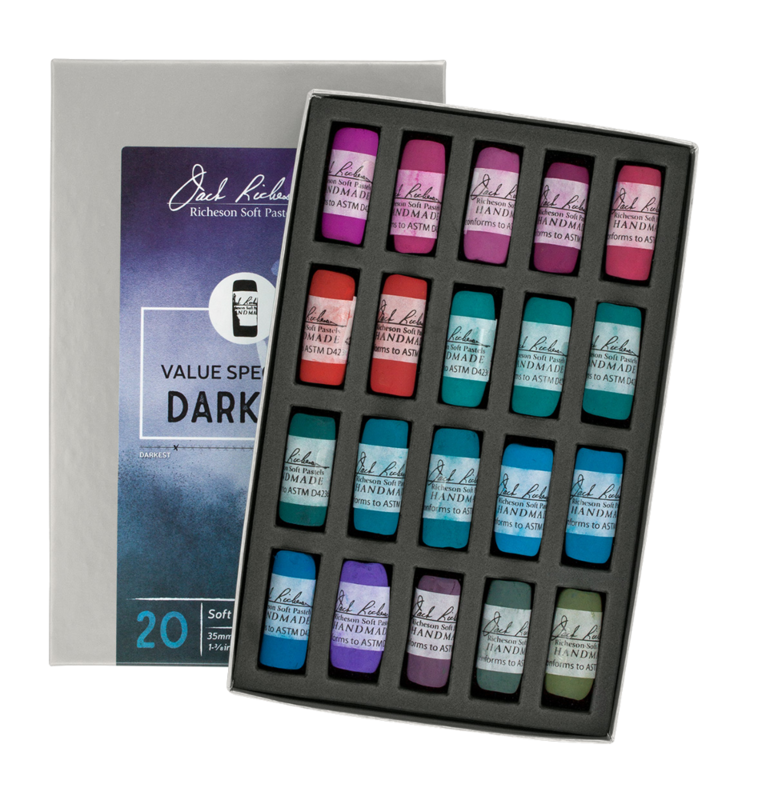 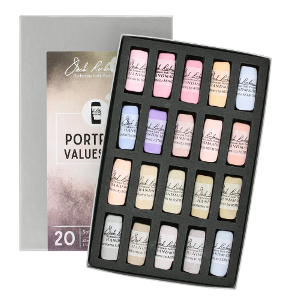 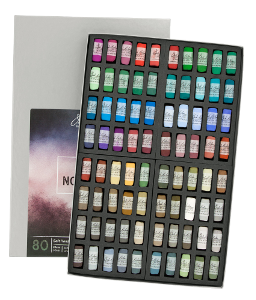 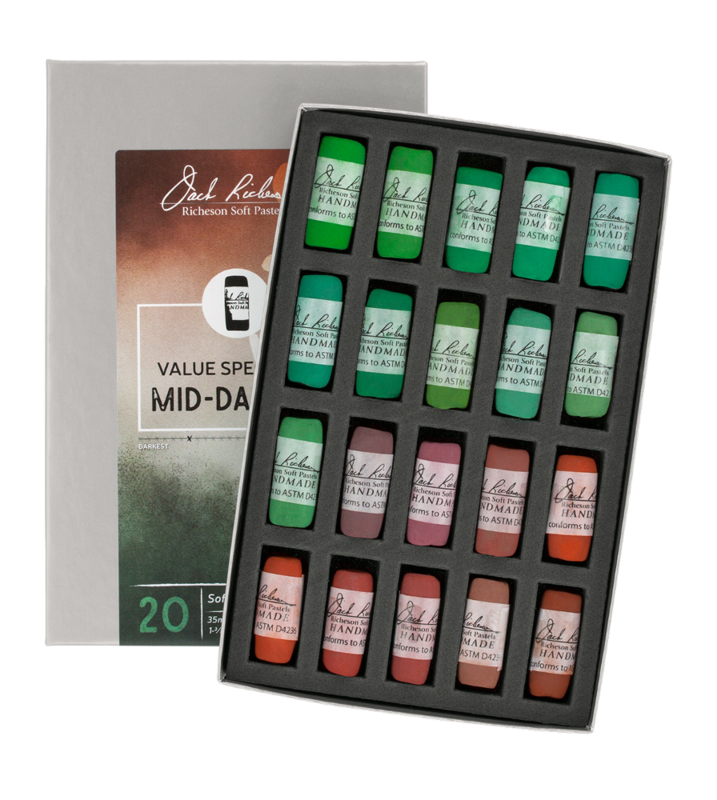 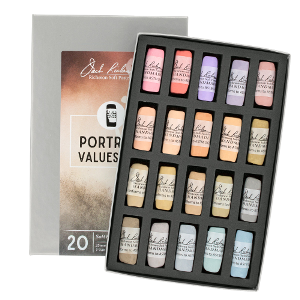 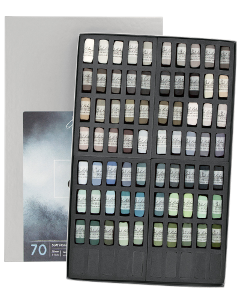 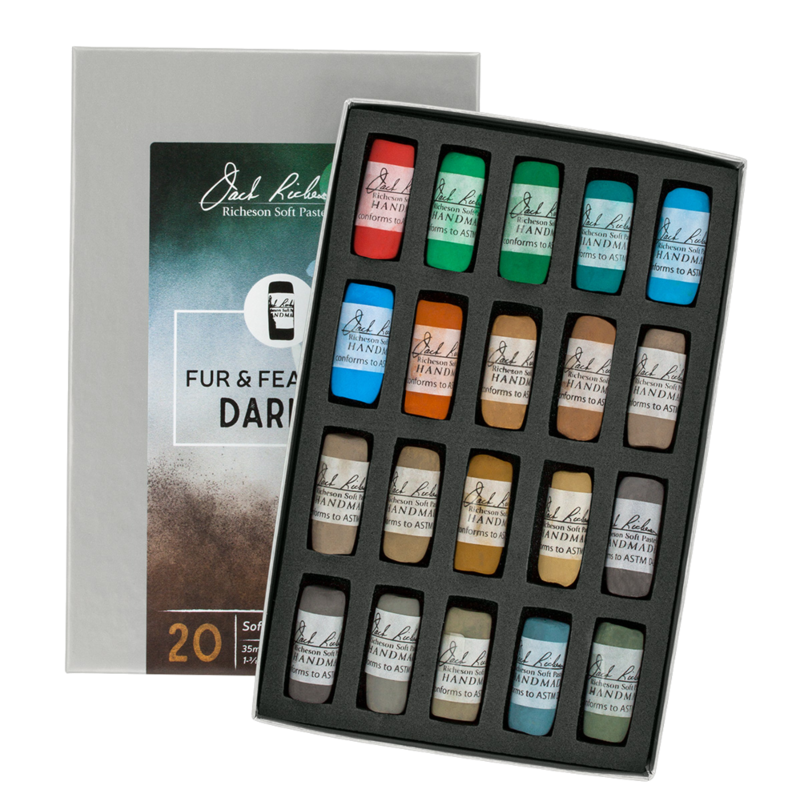 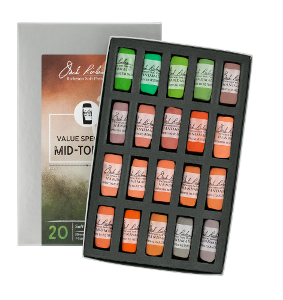 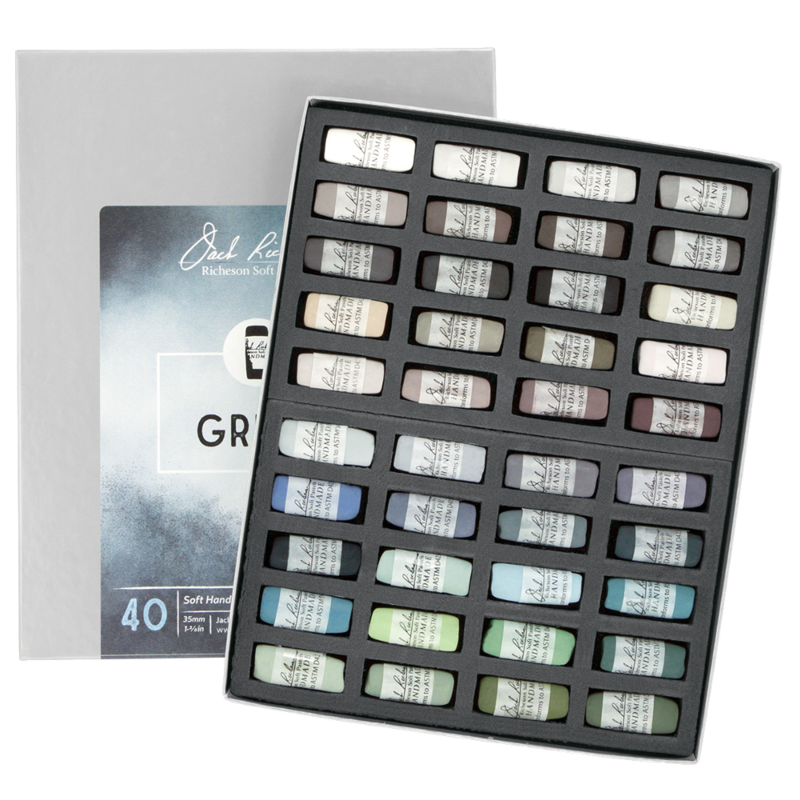 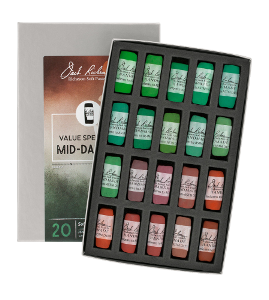 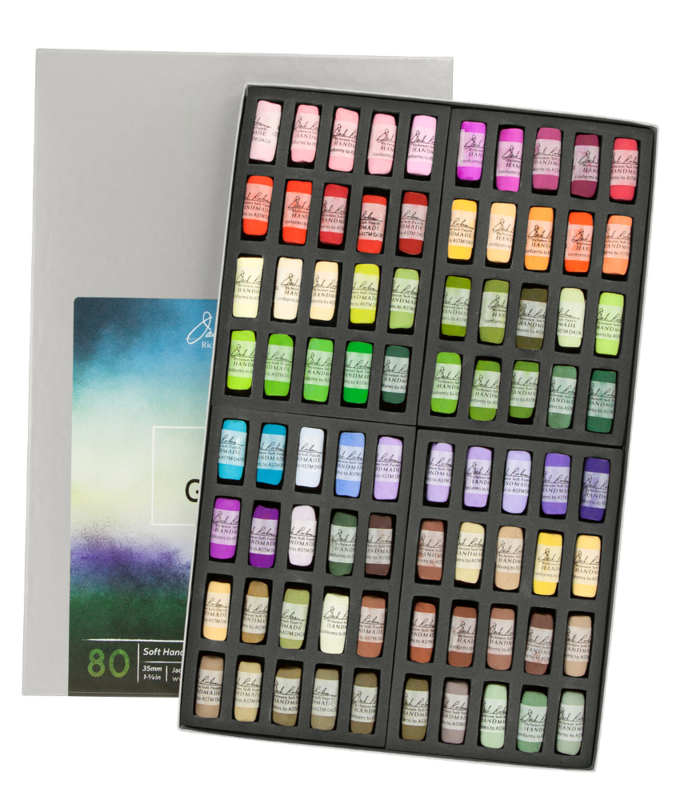 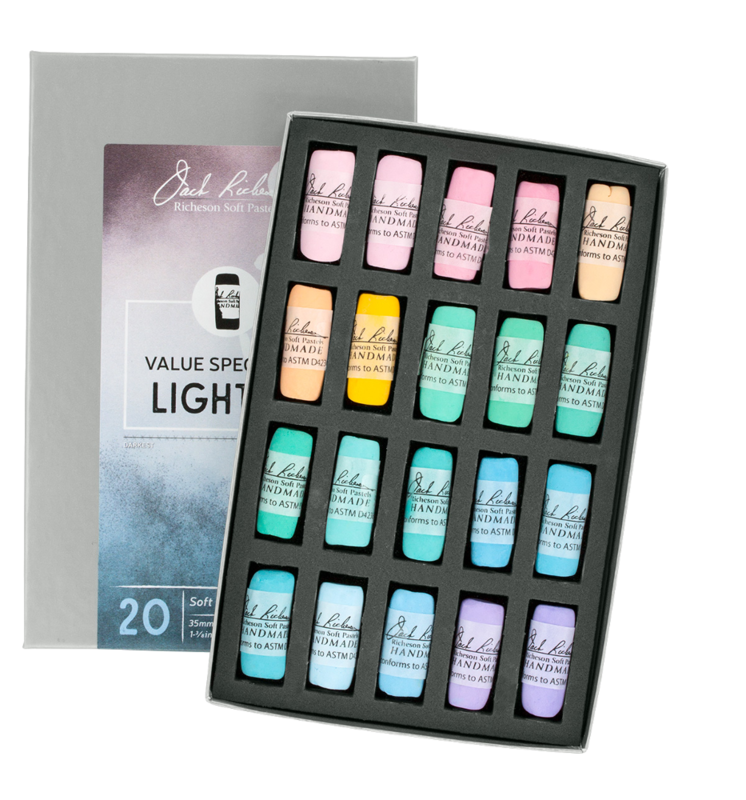 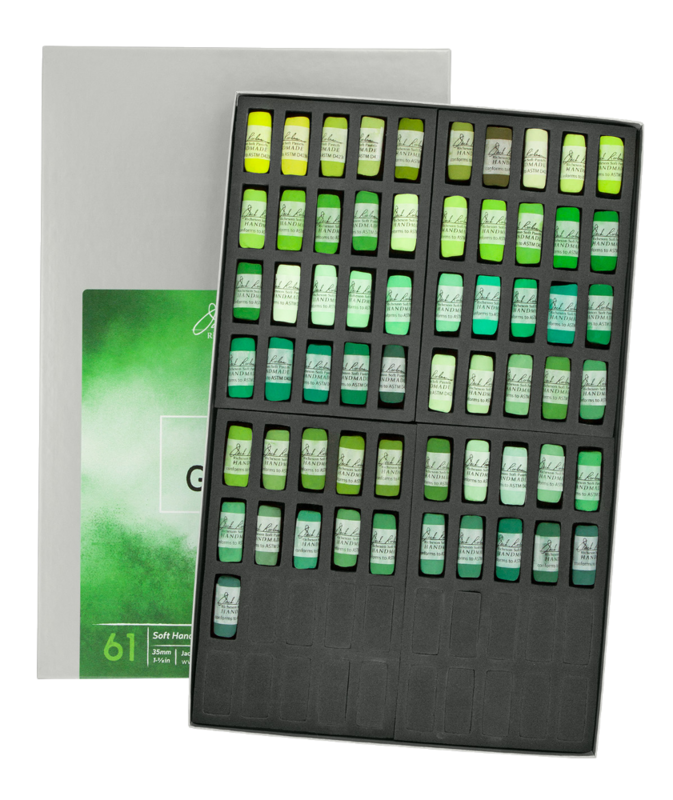 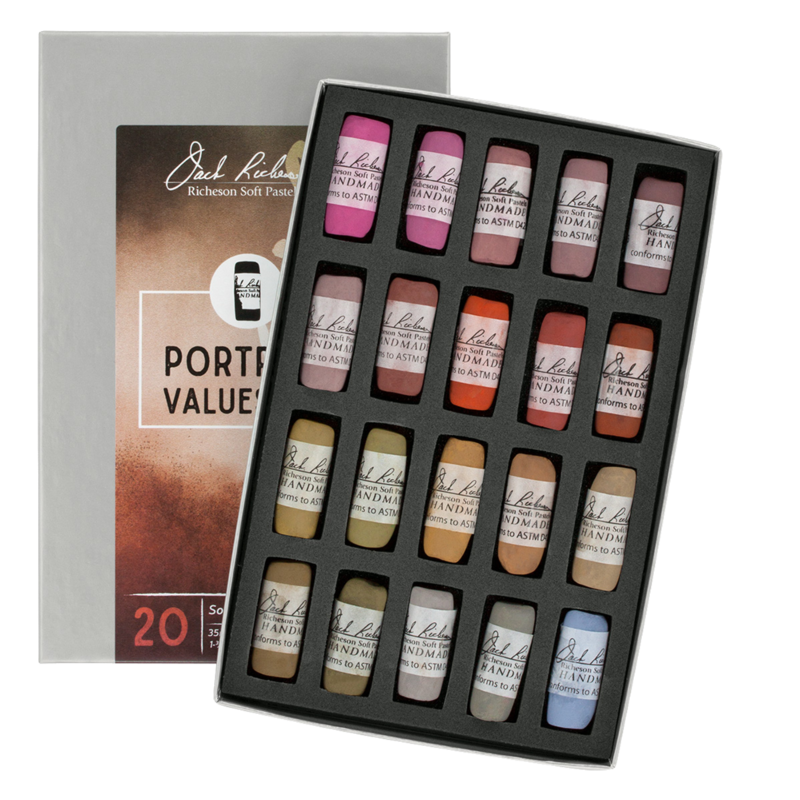 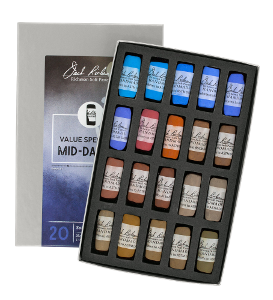 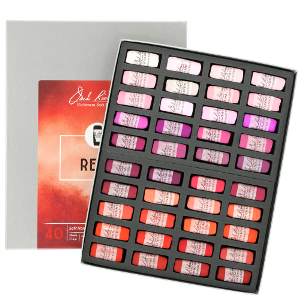 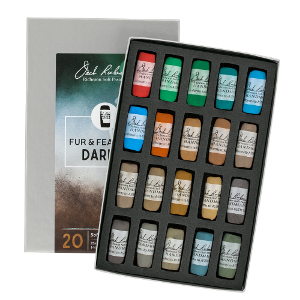 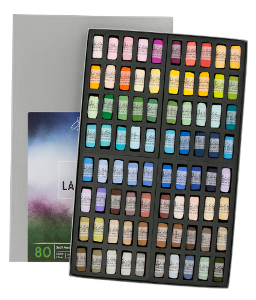 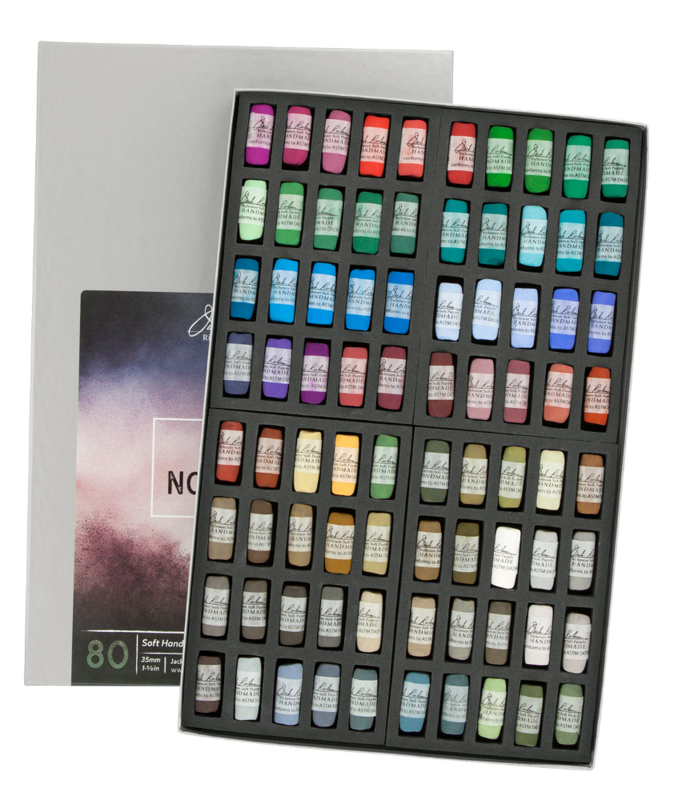 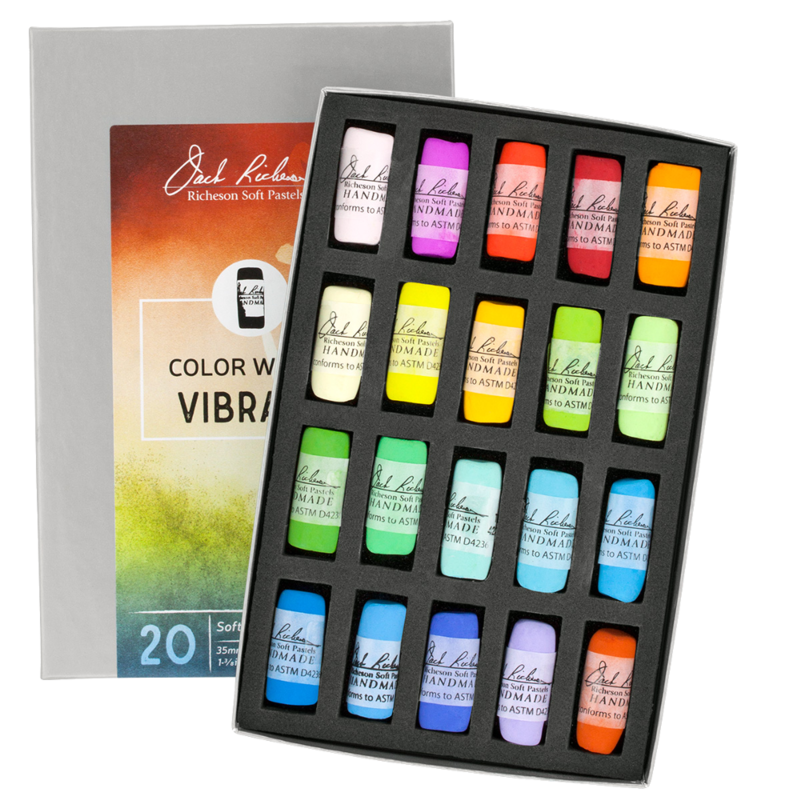 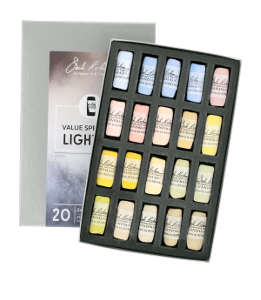 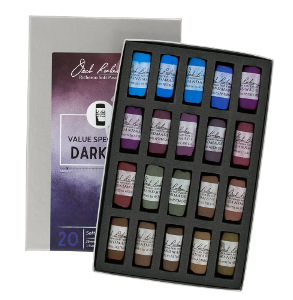 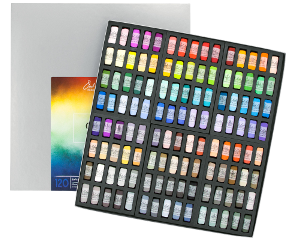 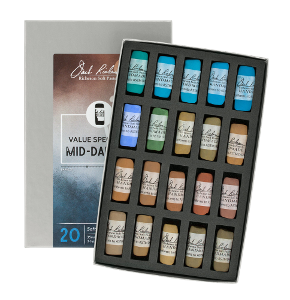 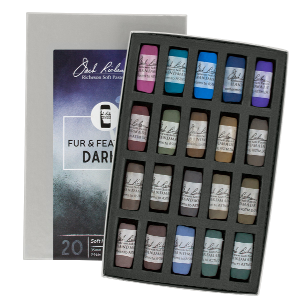 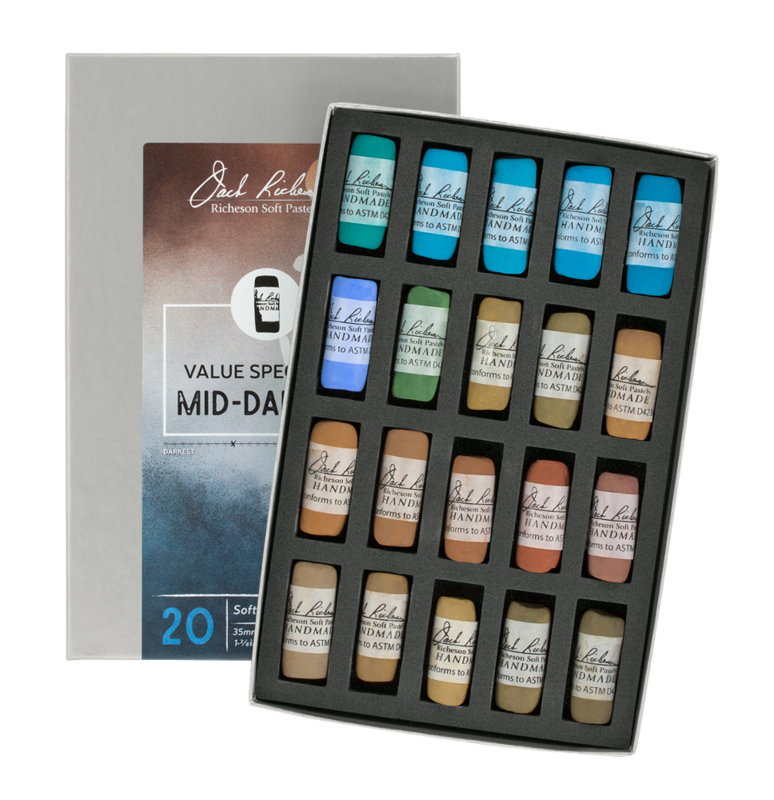 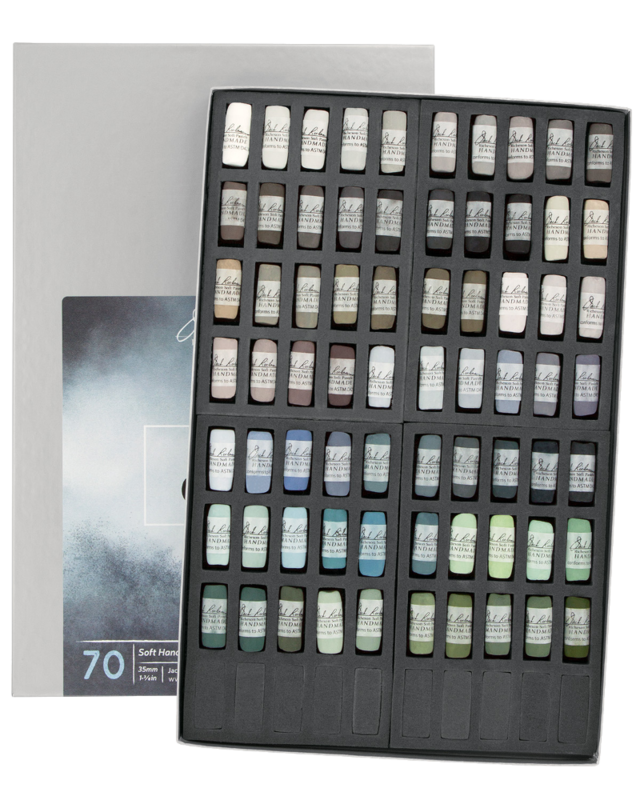 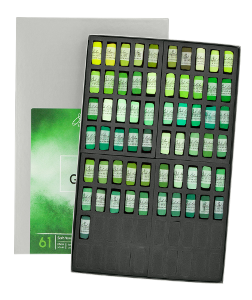 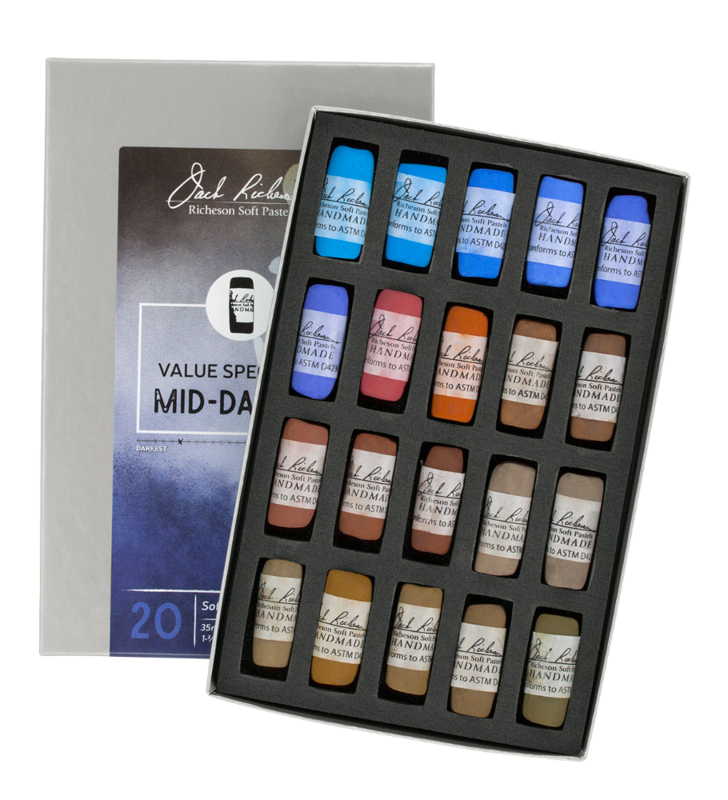 Discover Richeson’s Value Spectrum sets! 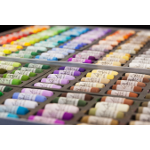 The basic color divisions are separated into values, from 1 (darkest darks) to 10 (lightest lights). 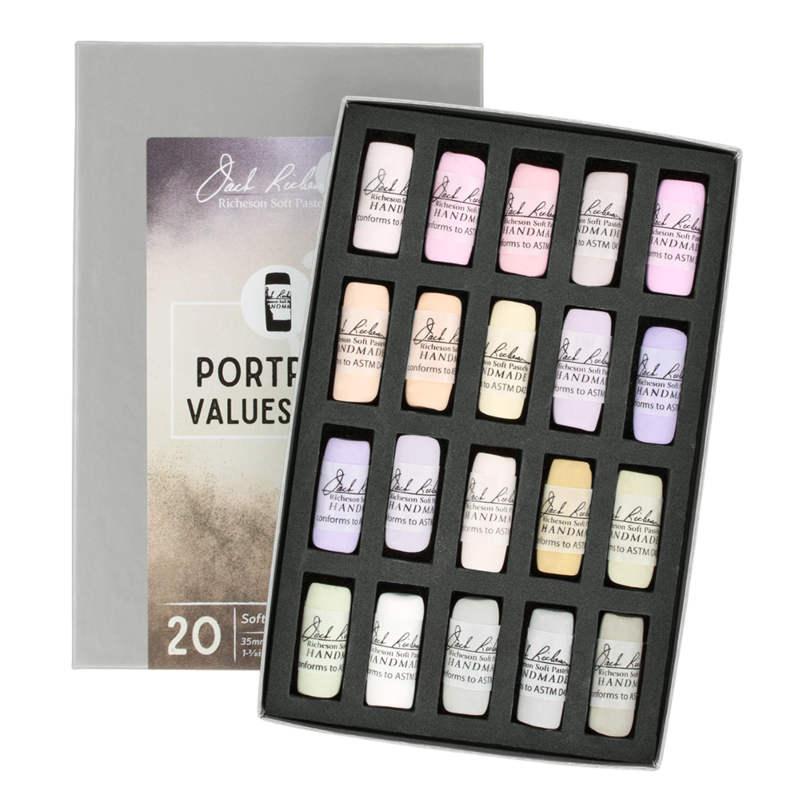 Instructors will quickly find these sets are essential in transitioning students’ cognitive understanding of values to practical application. 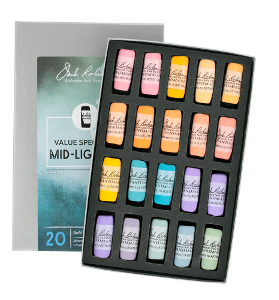 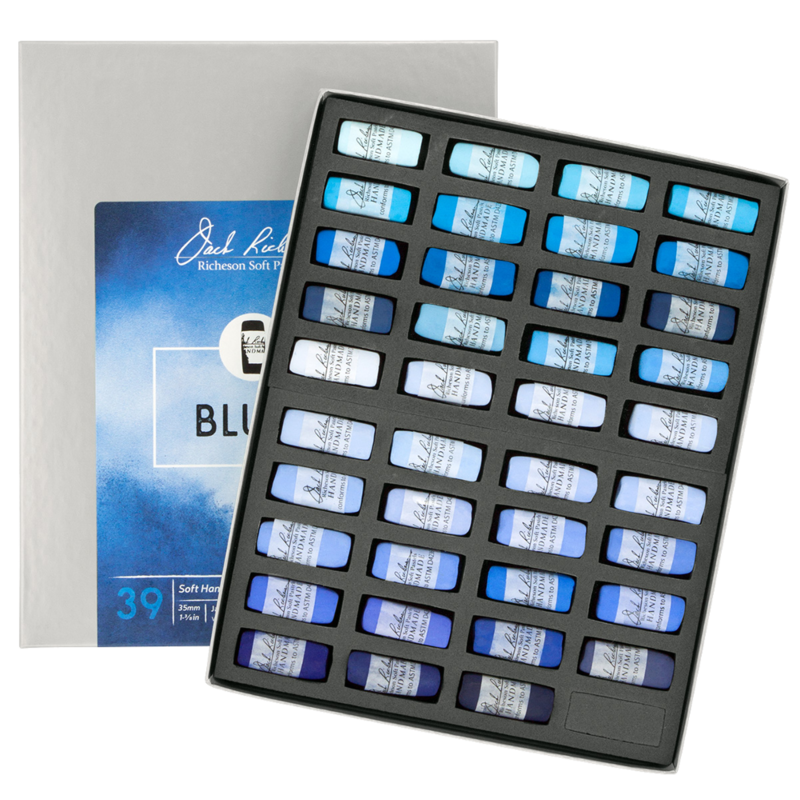 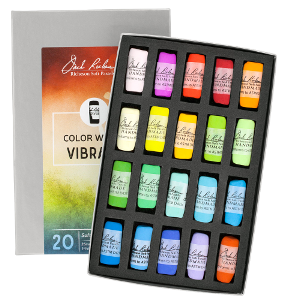 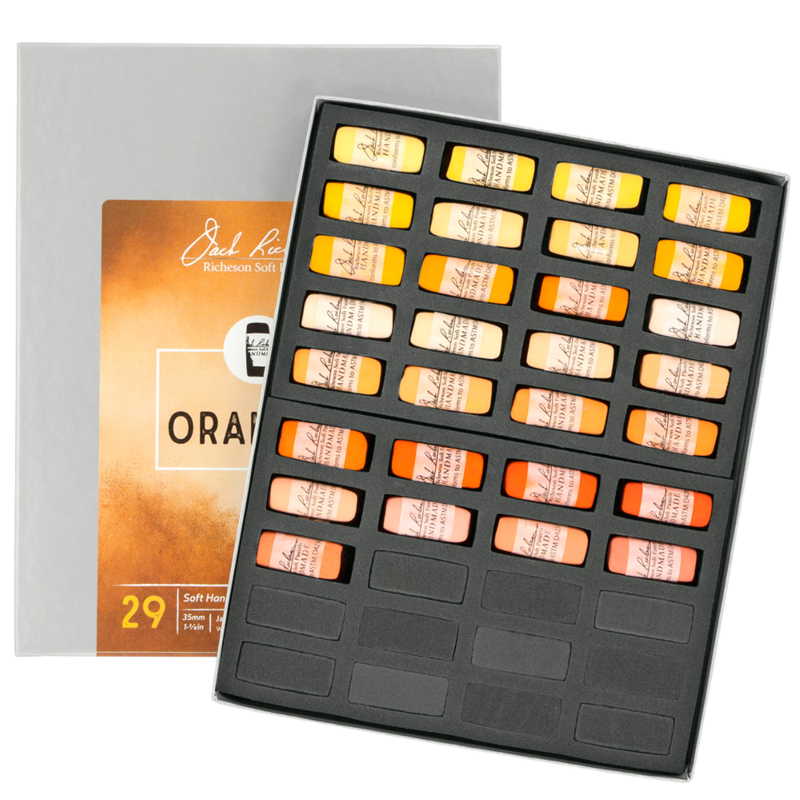 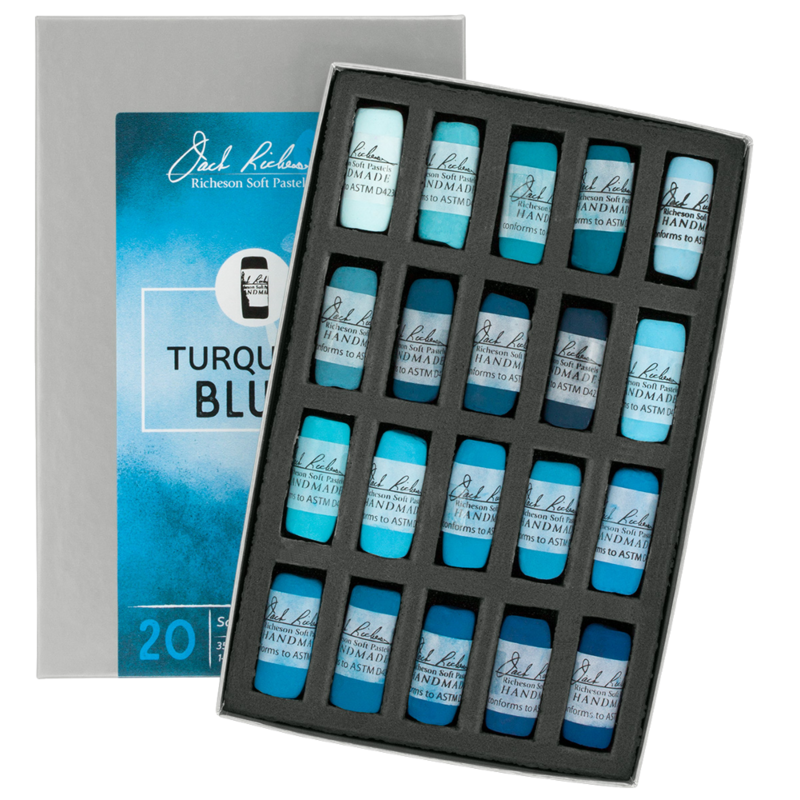 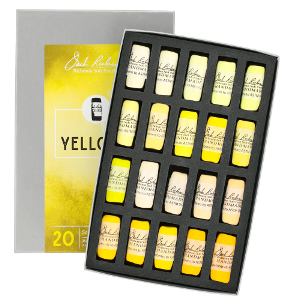 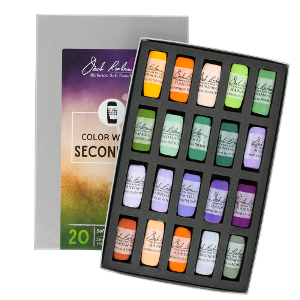 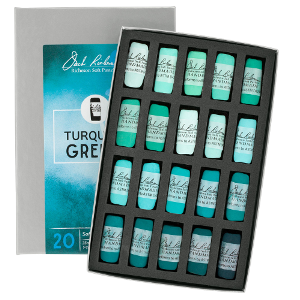 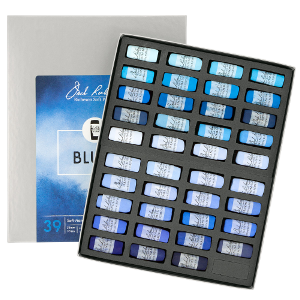 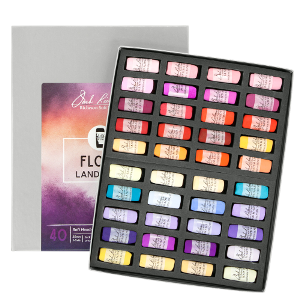 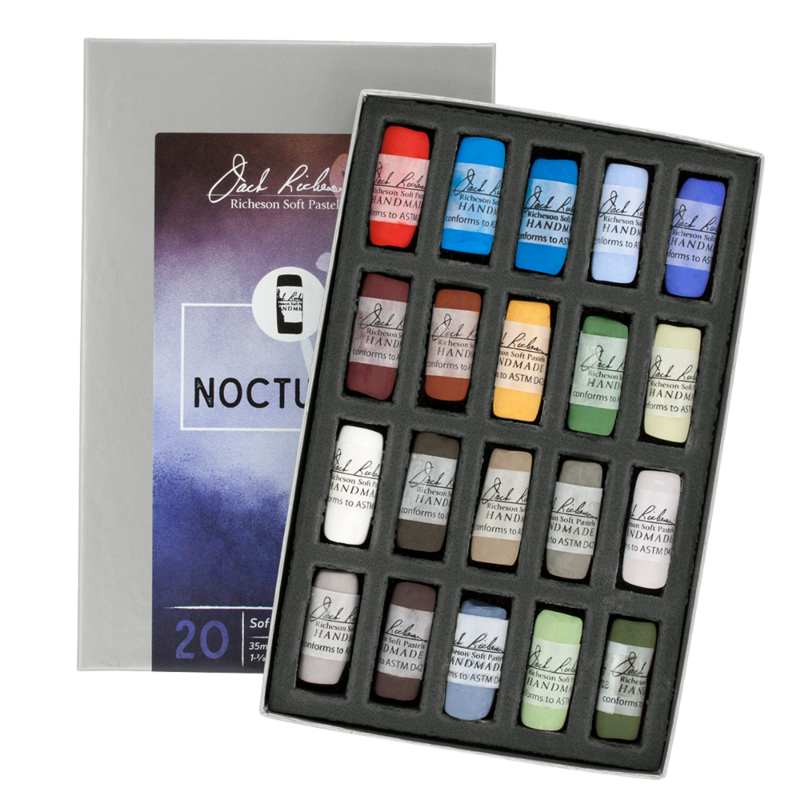 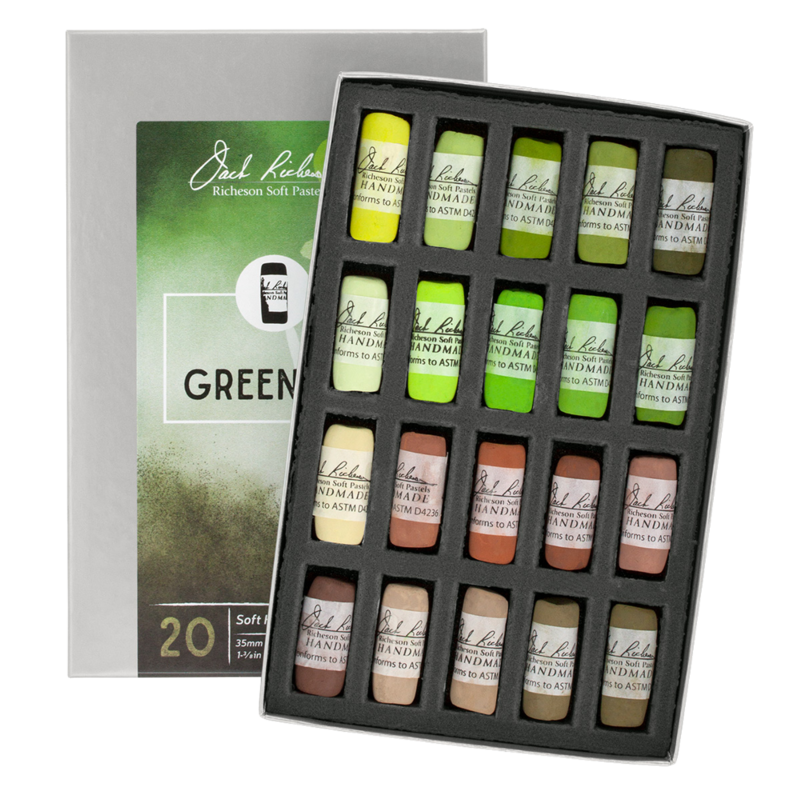 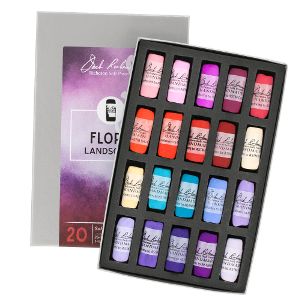 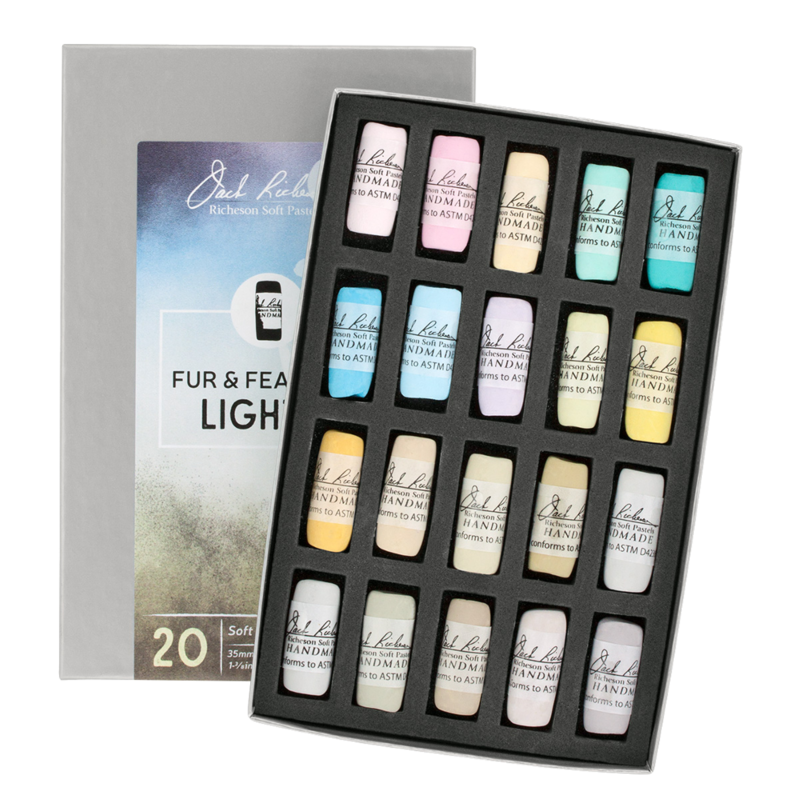 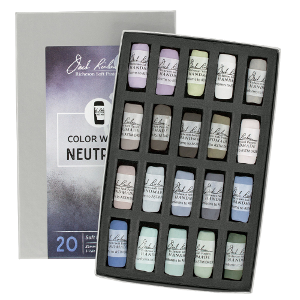 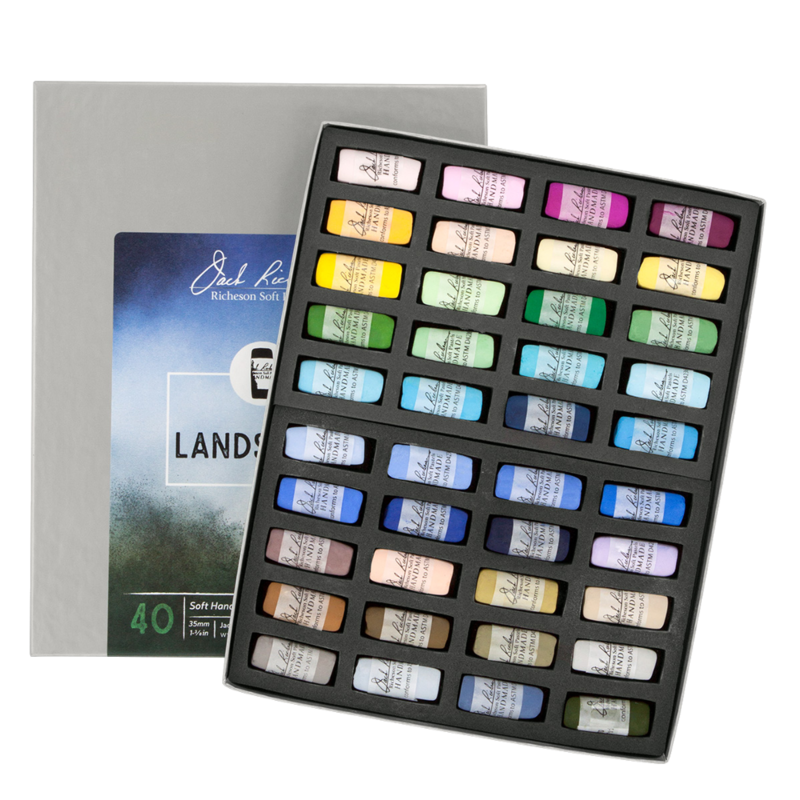 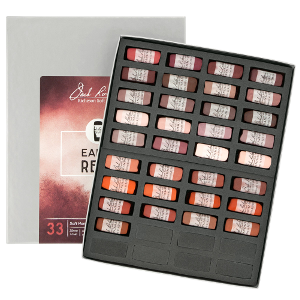 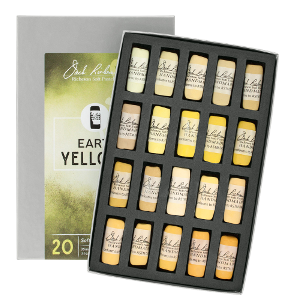 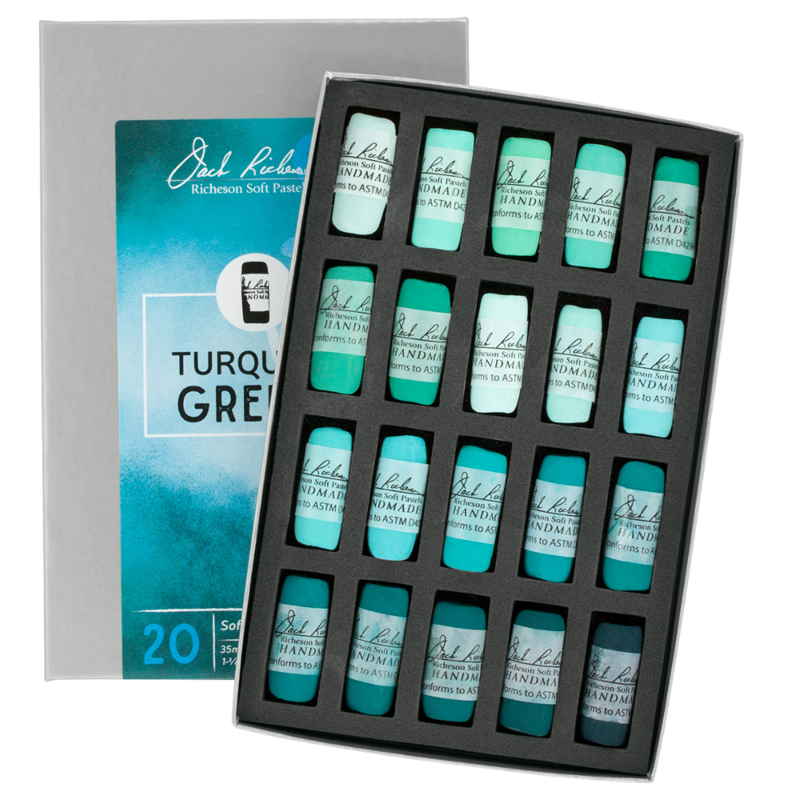 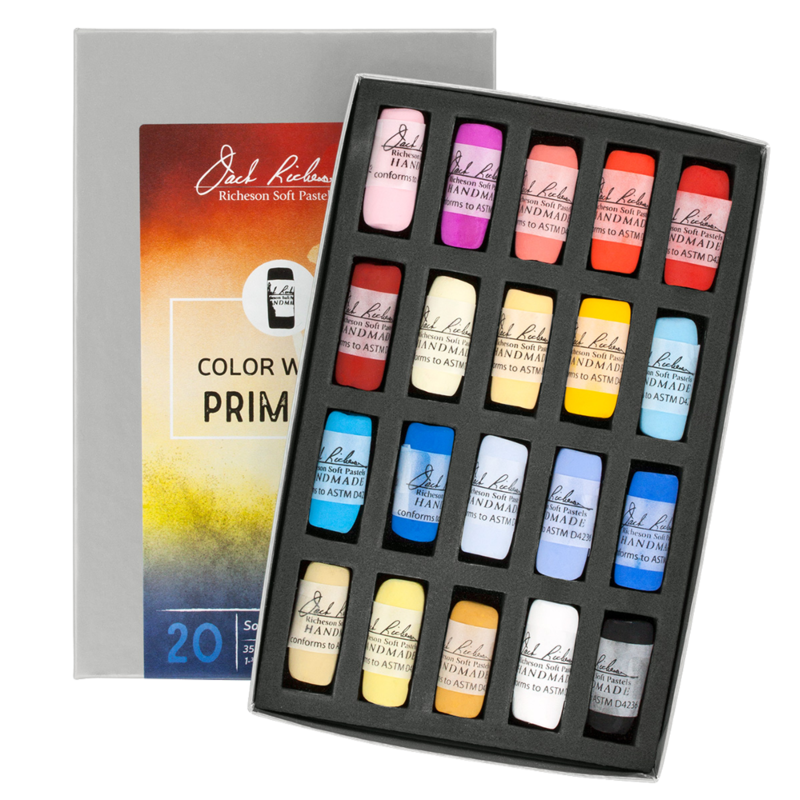 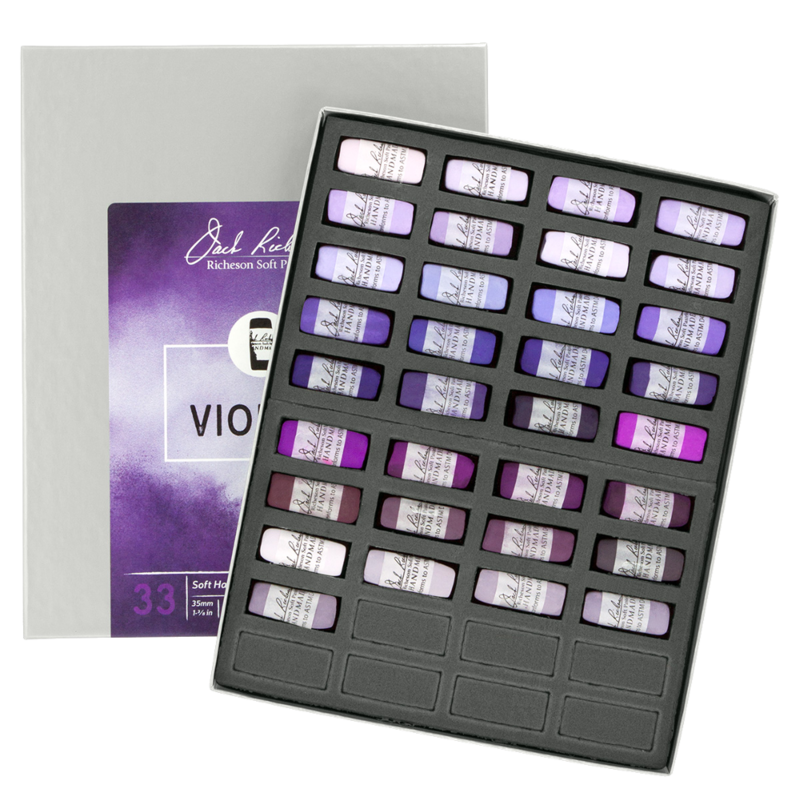 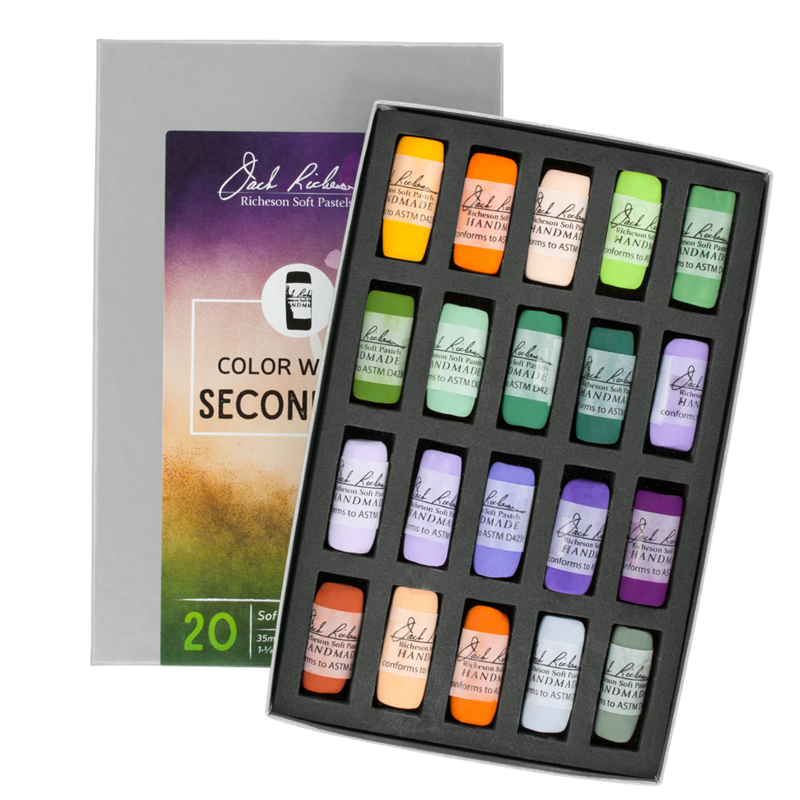 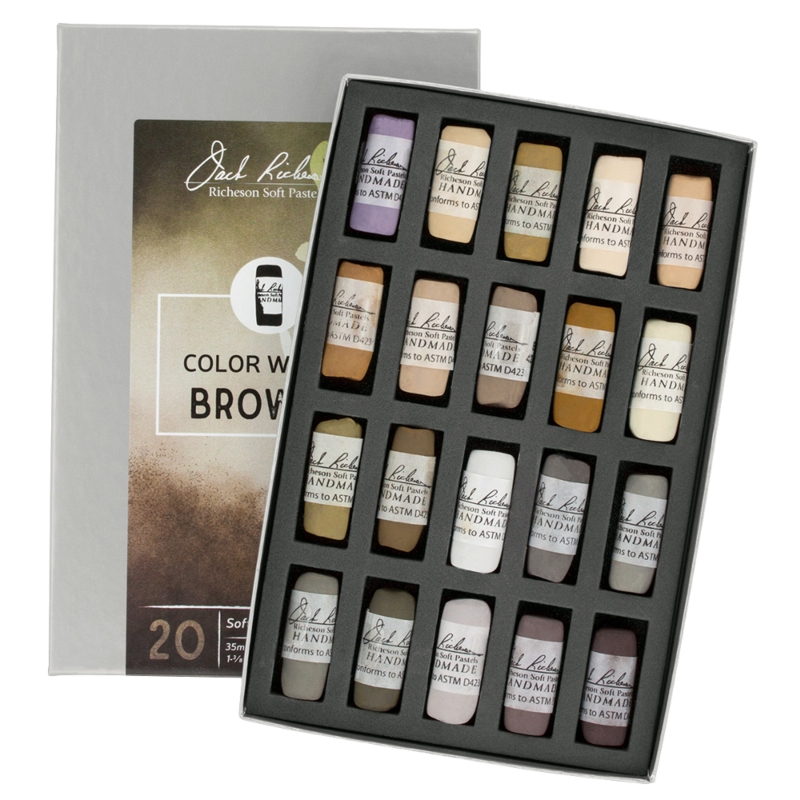 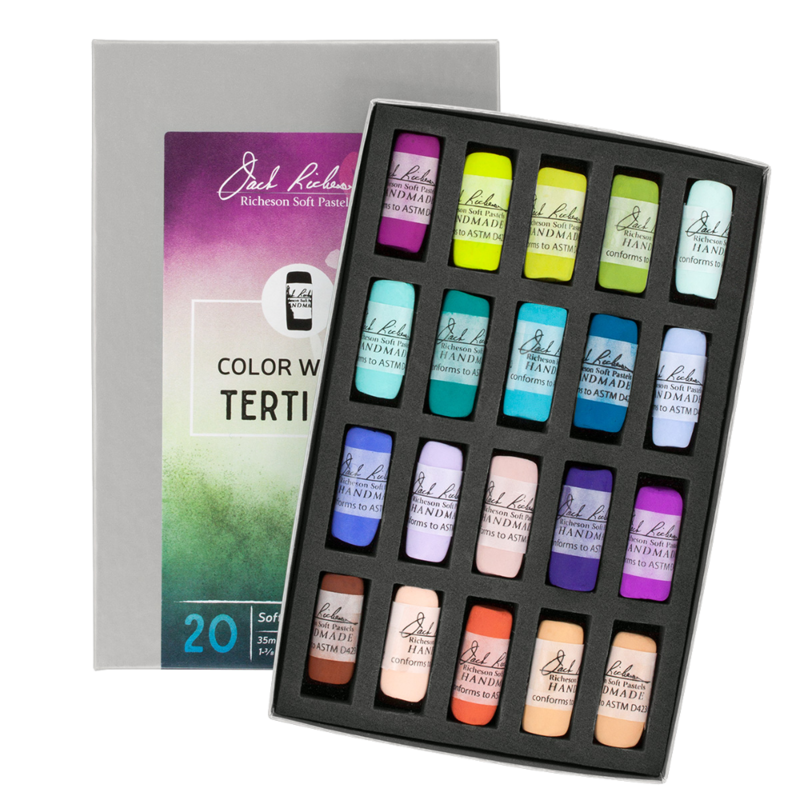 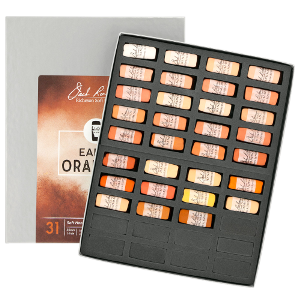 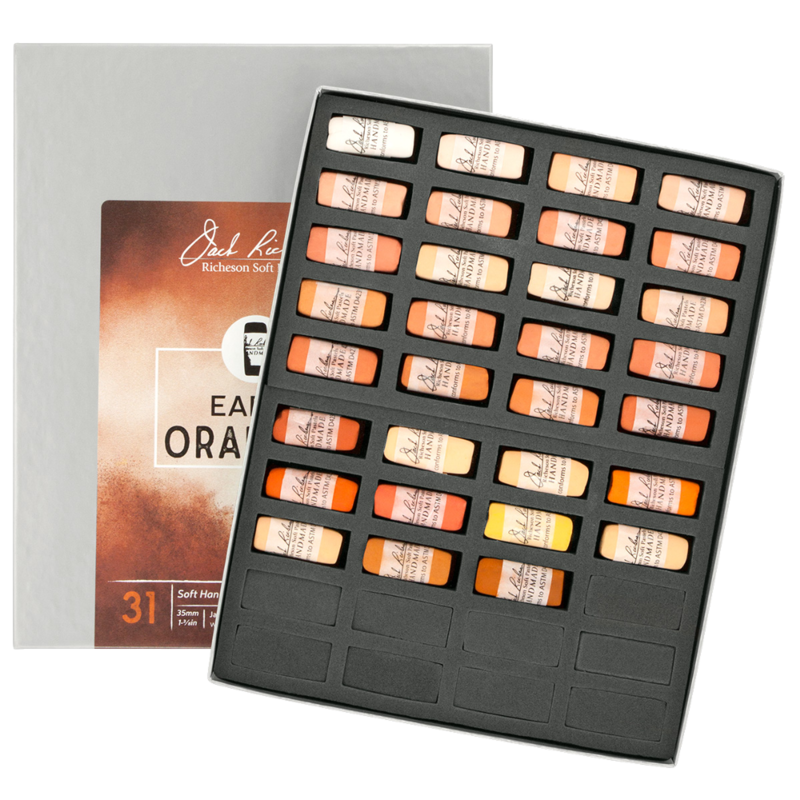 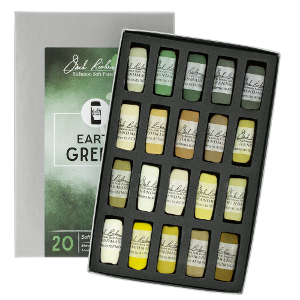 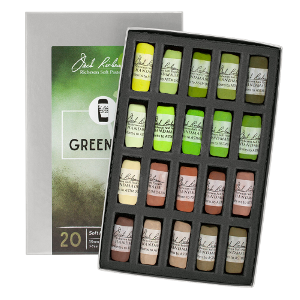 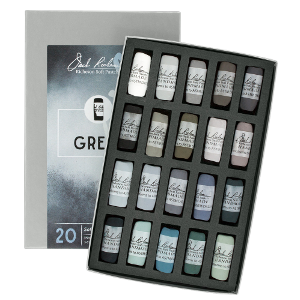 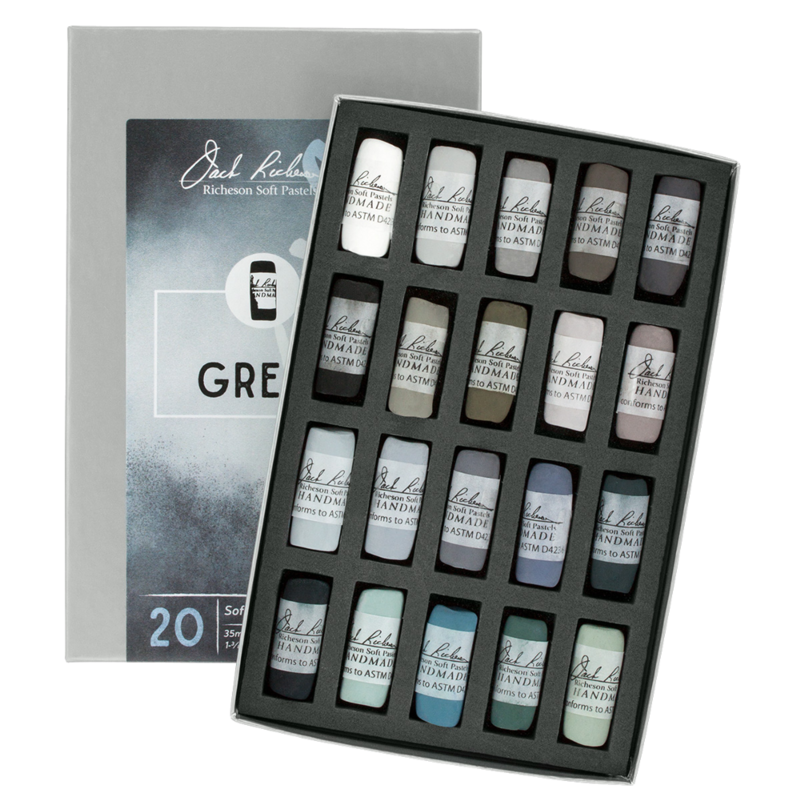 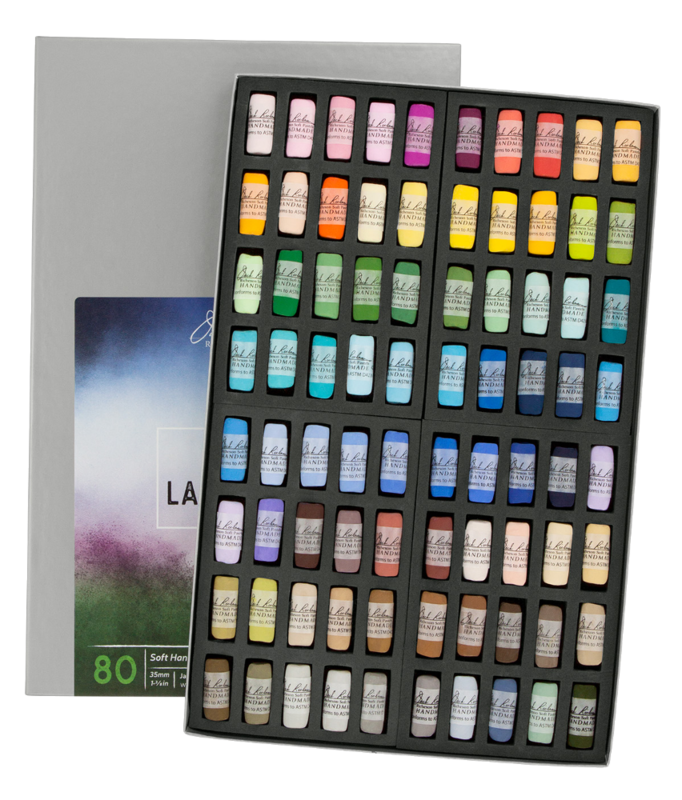 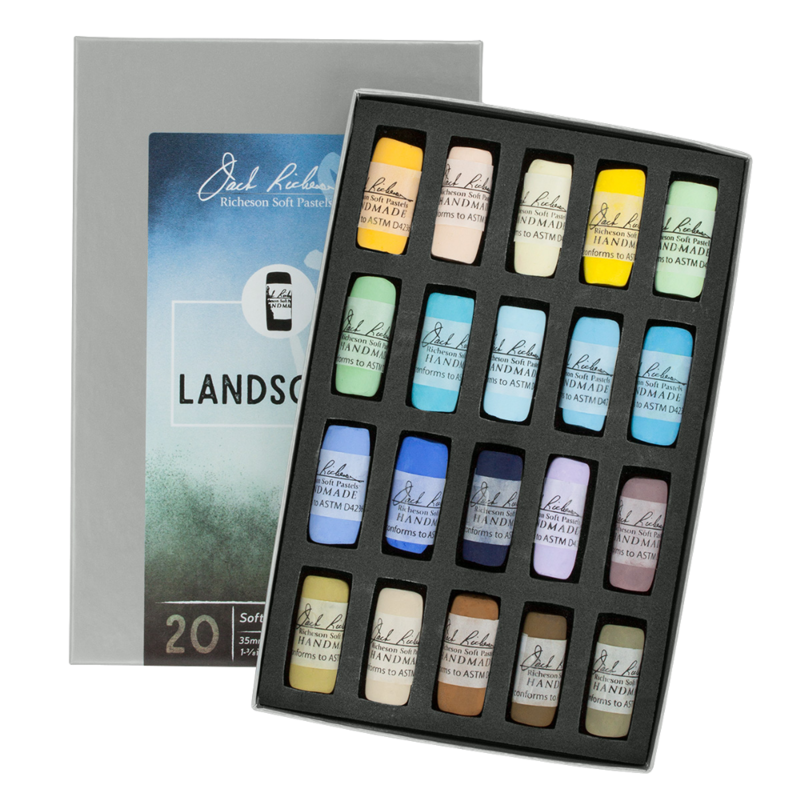 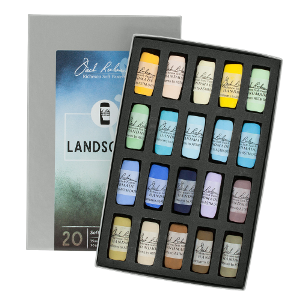 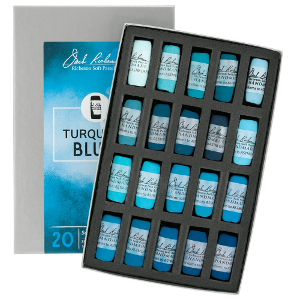 Artists working “en plein air” will appreciate having dark, middle and light value sets at the ready, helping to overcome the challenges of differentiating values in sunlight. In the studio, the Value Spectrum sets allow the artist to focus on color temperature transitions because the value matching has already been done.